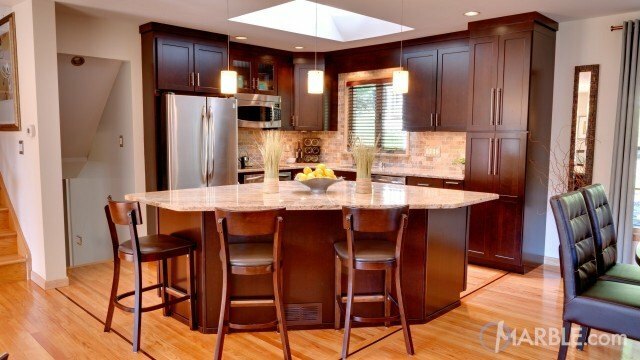 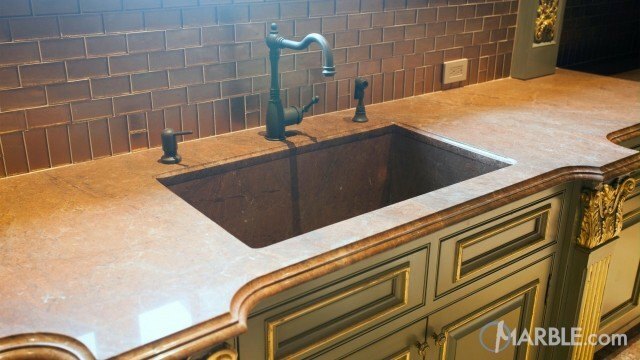 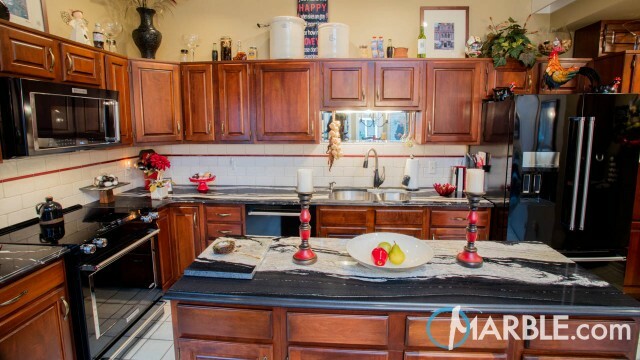 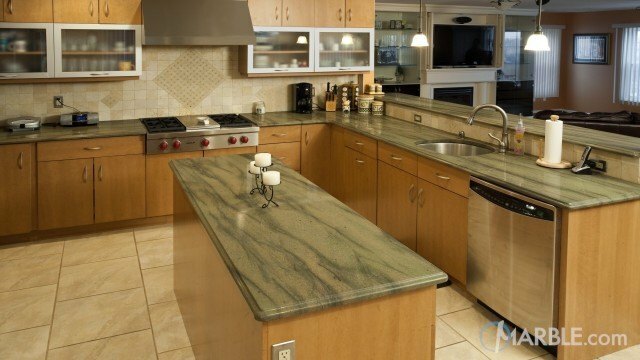 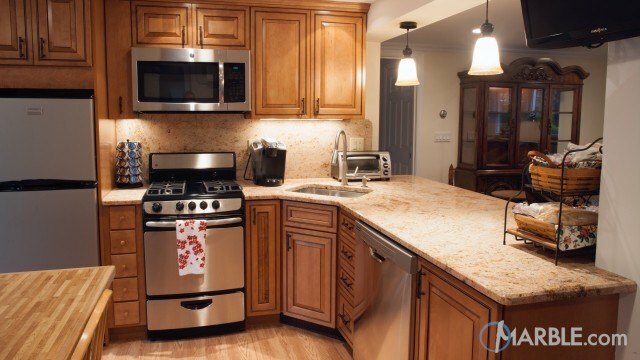 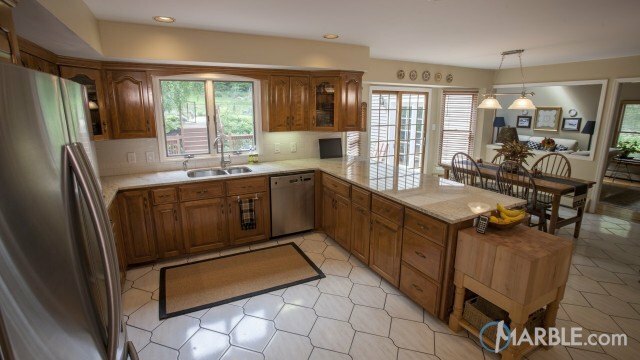 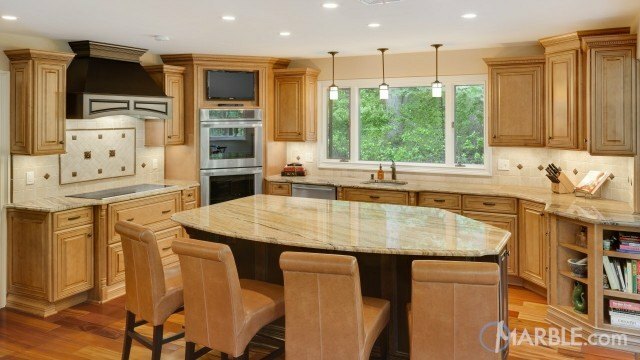 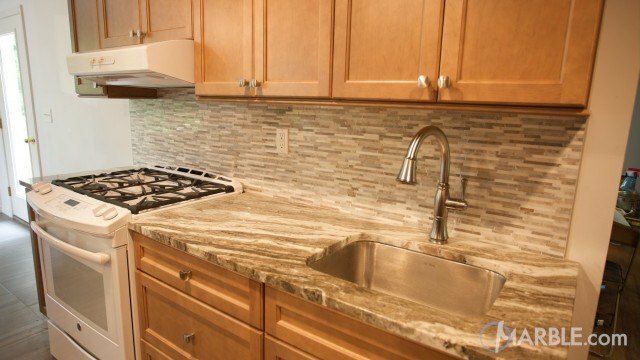 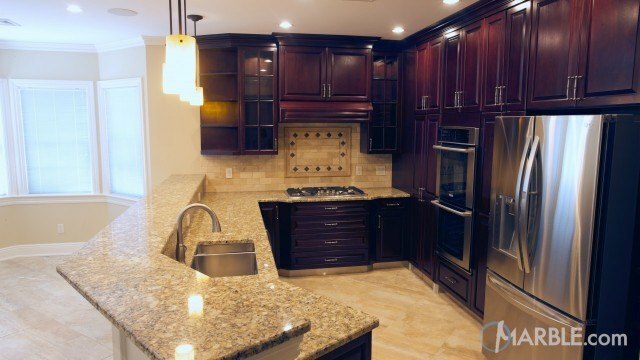 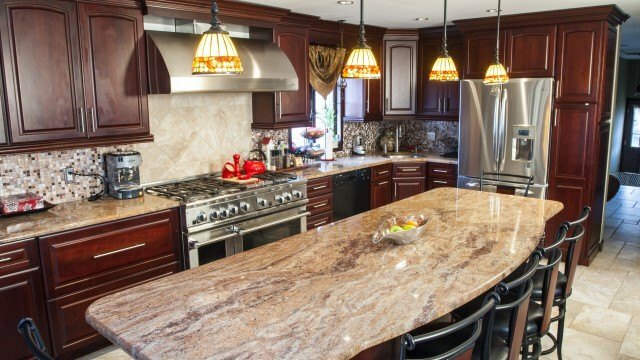 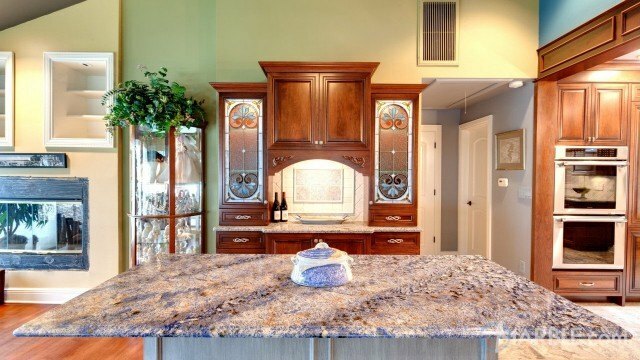 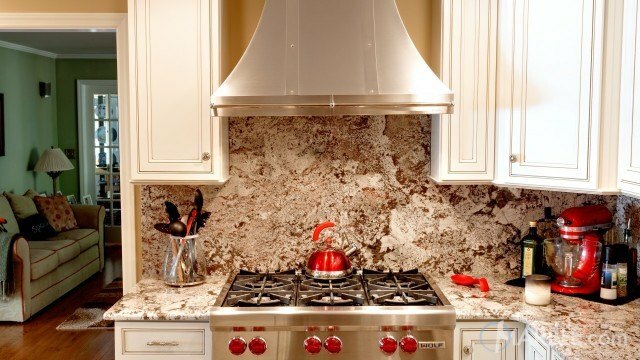 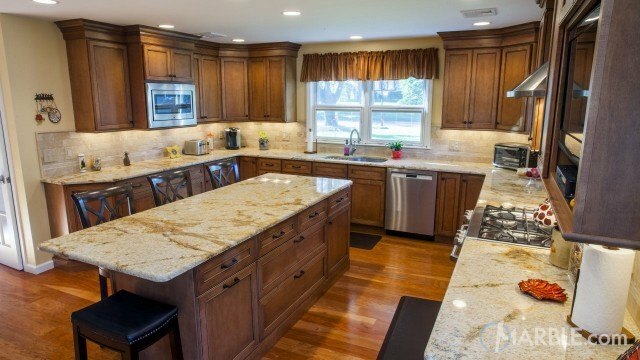 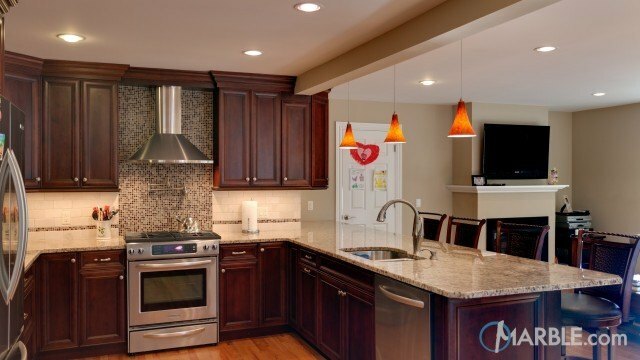 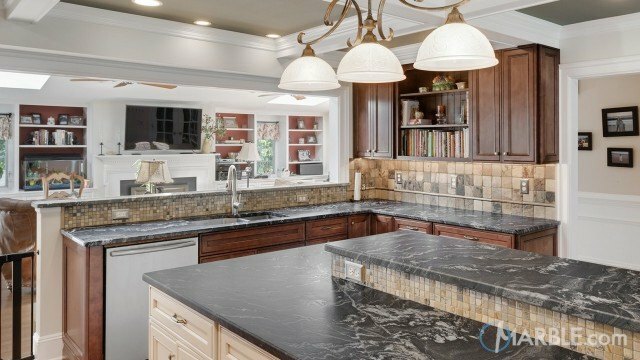 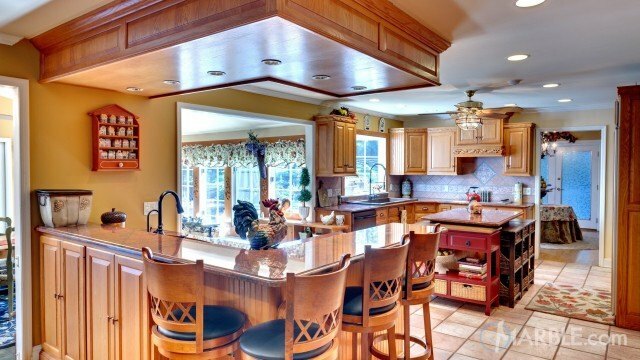 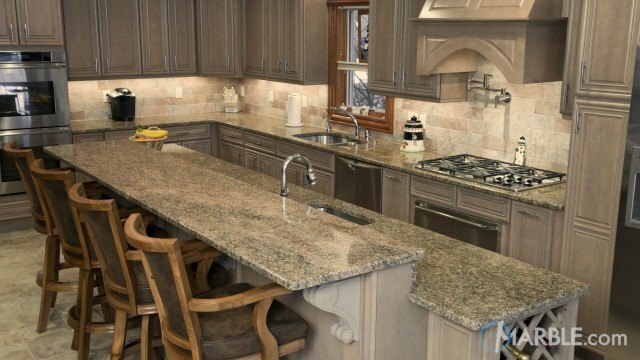 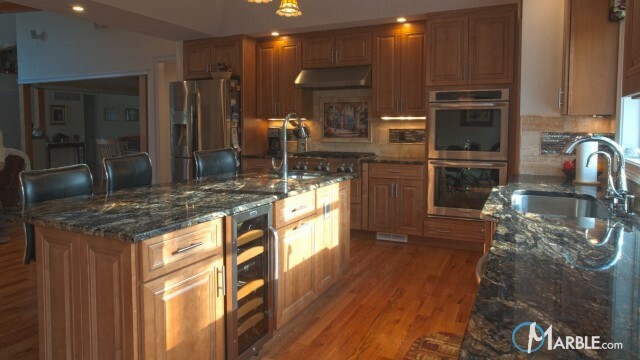 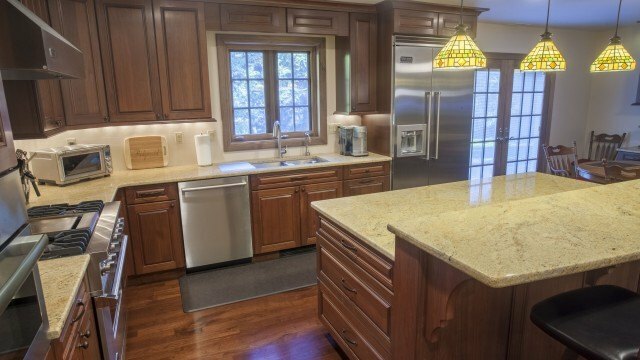 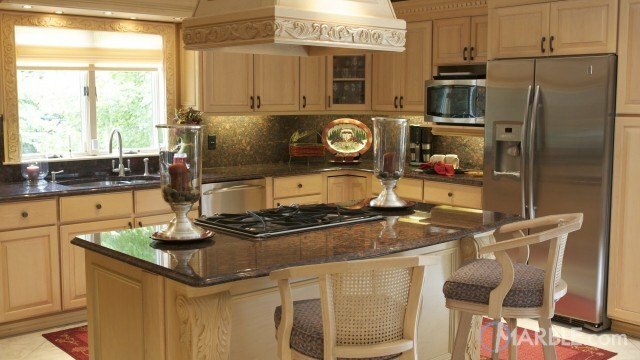 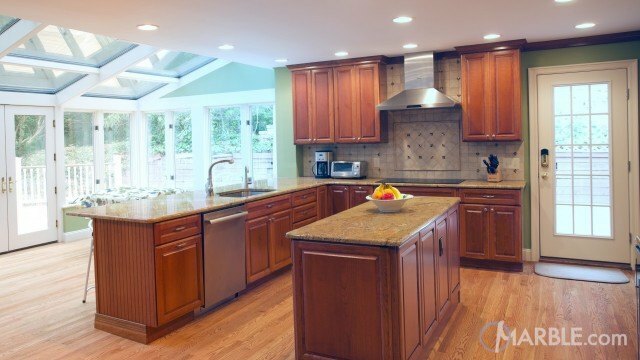 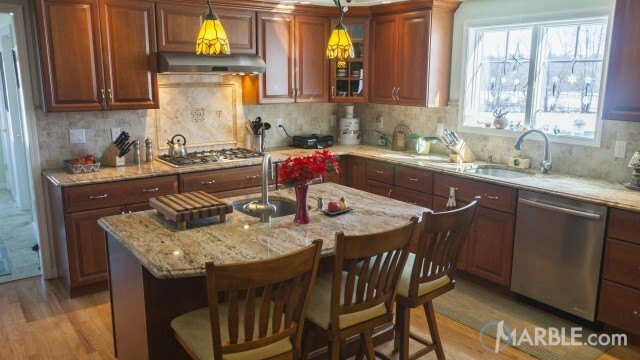 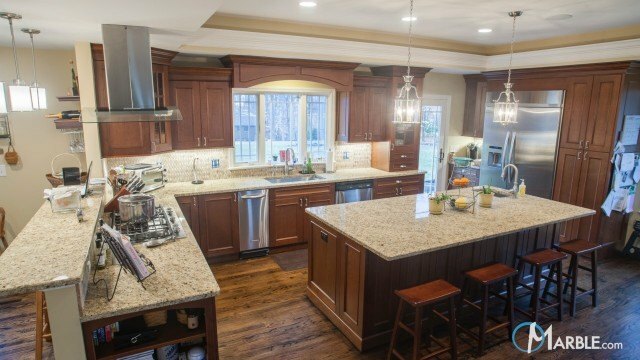 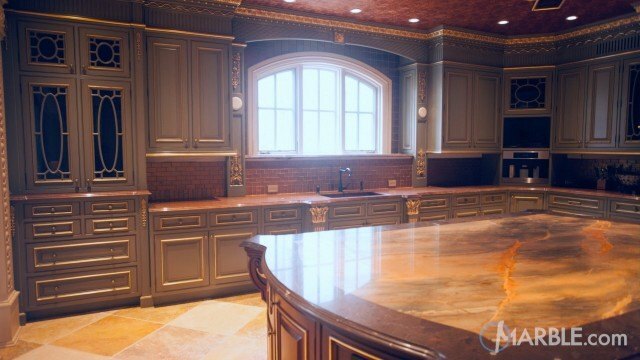 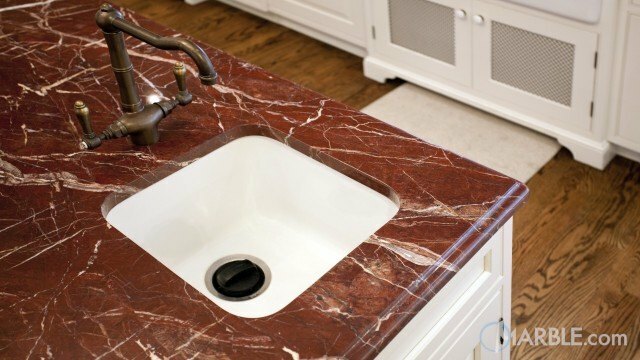 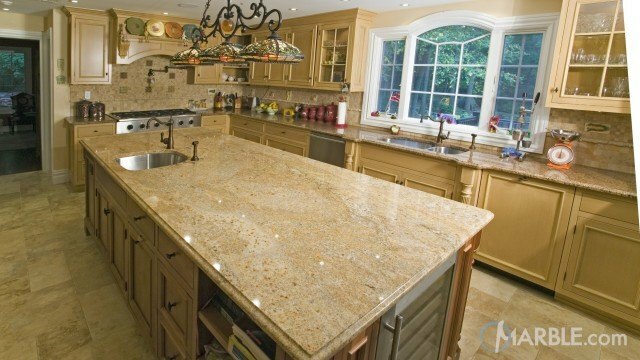 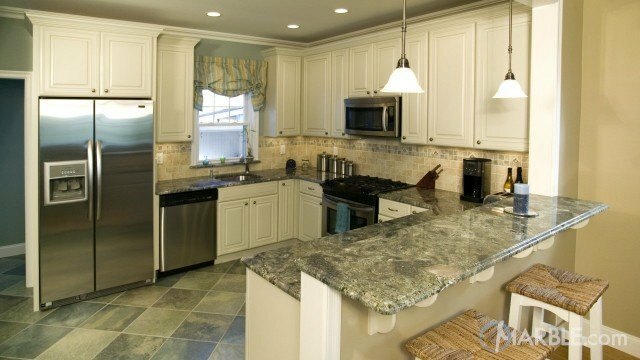 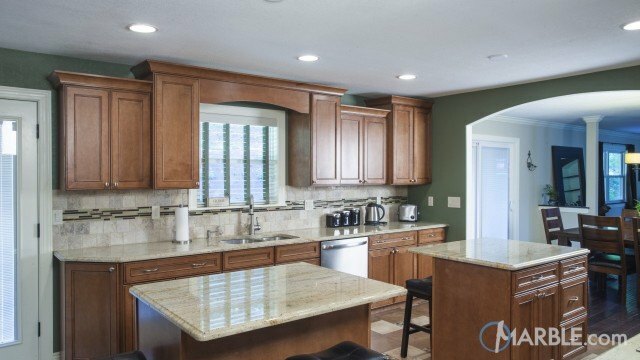 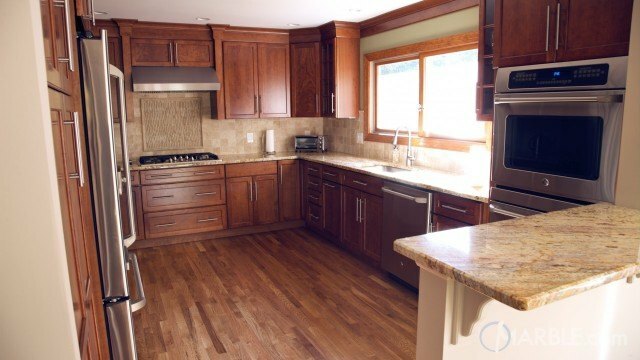 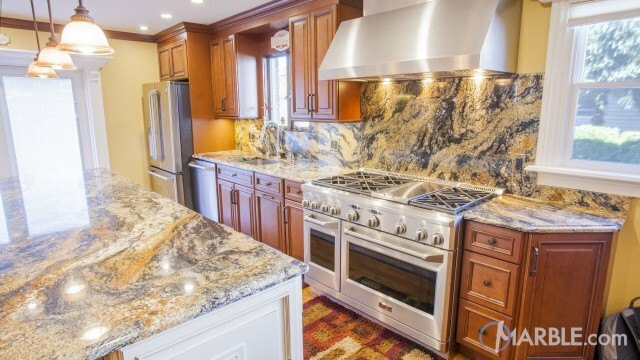 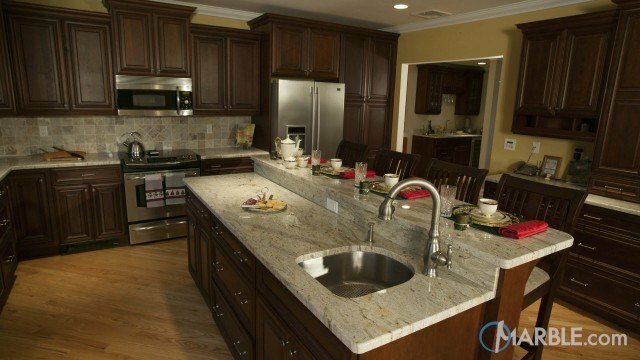 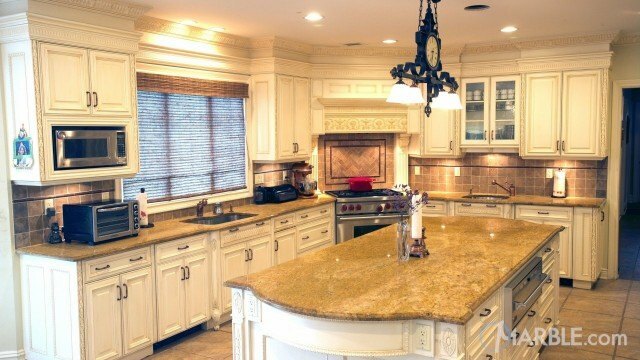 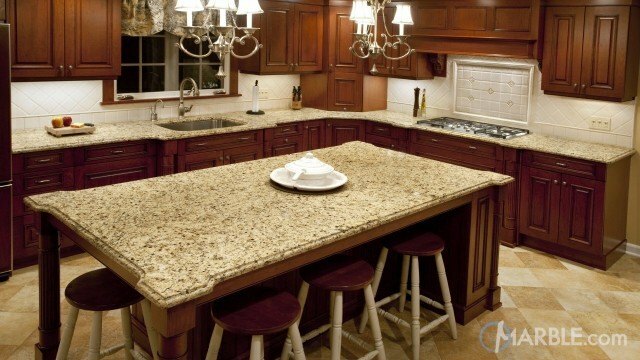 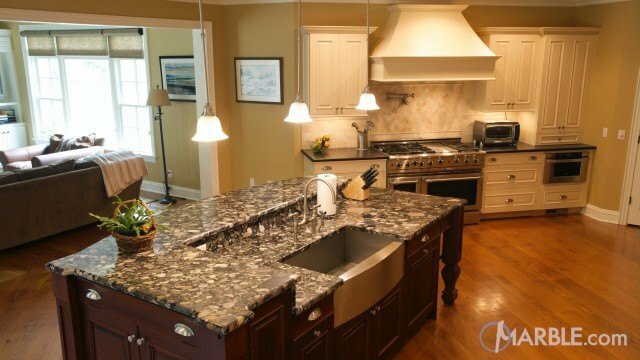 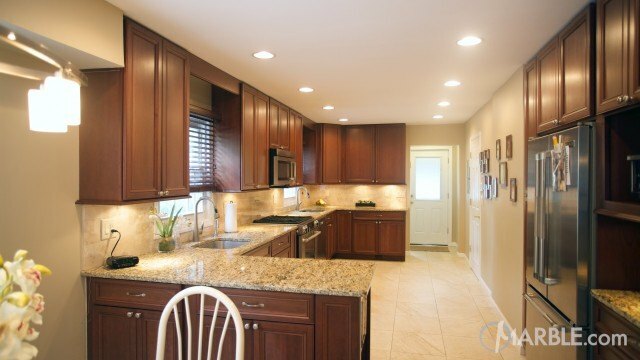 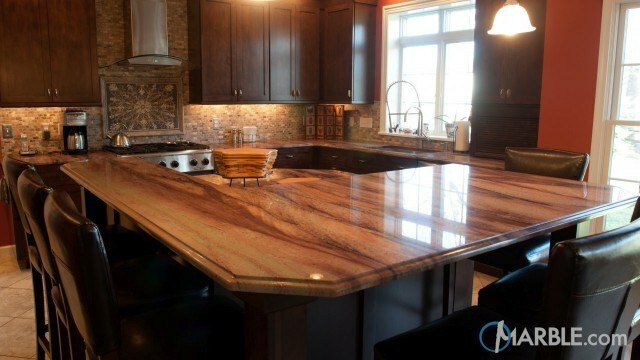 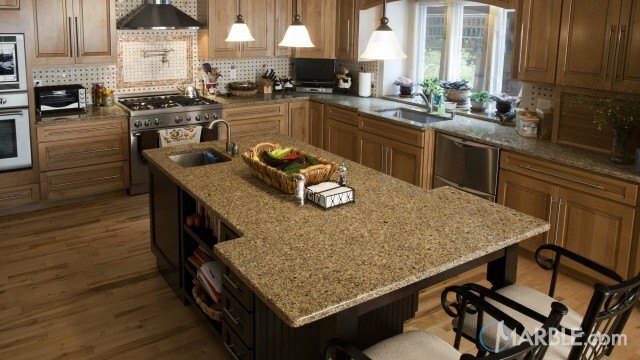 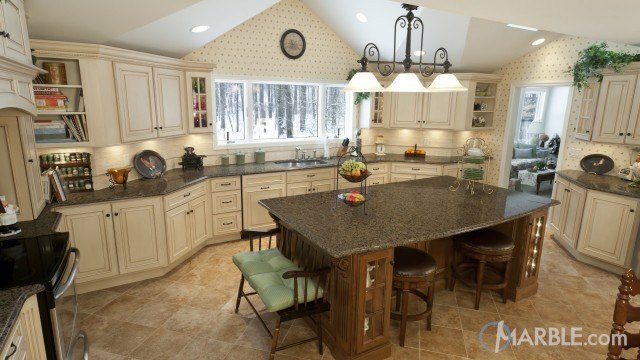 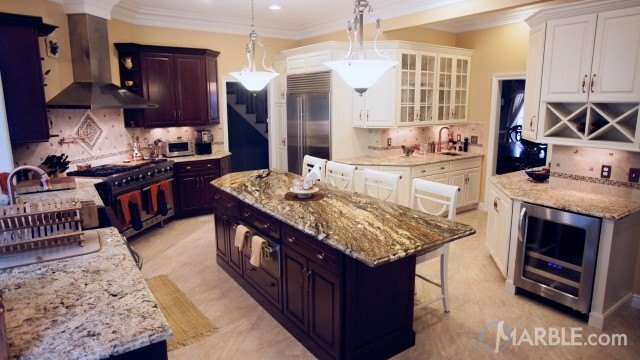 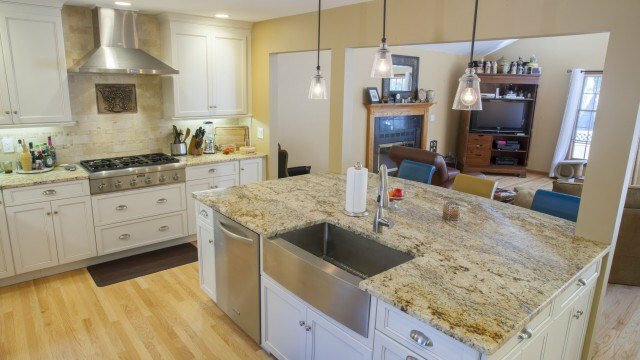 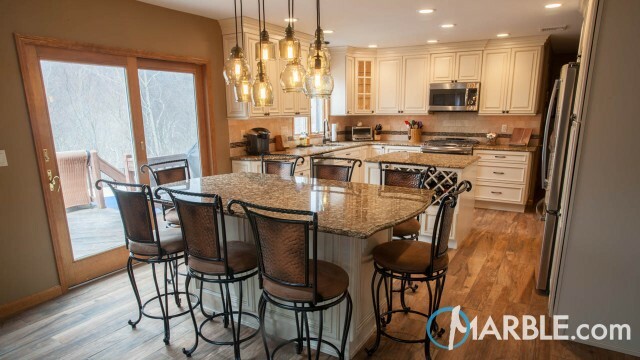 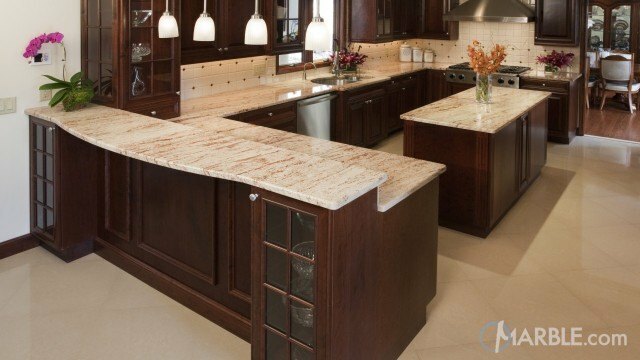 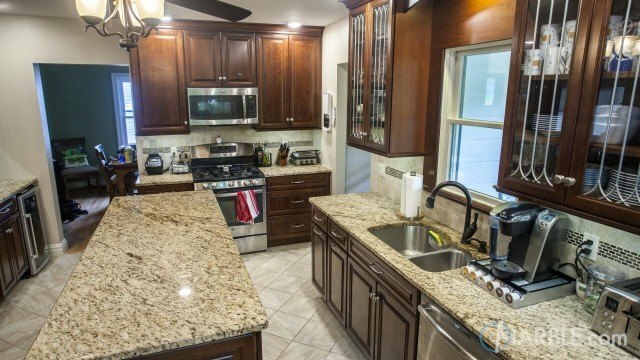 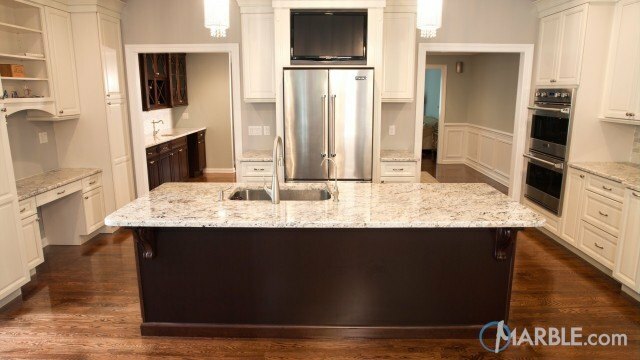 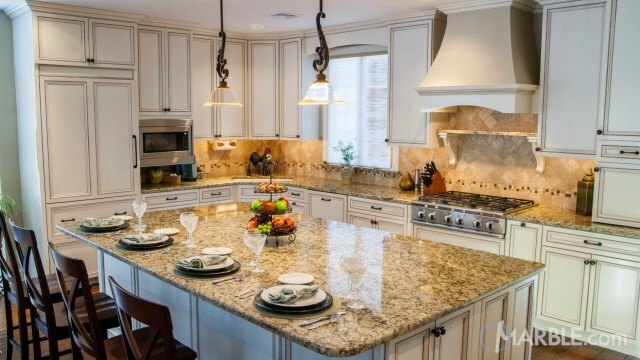 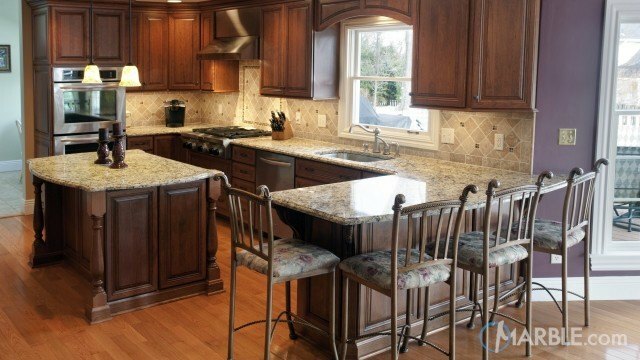 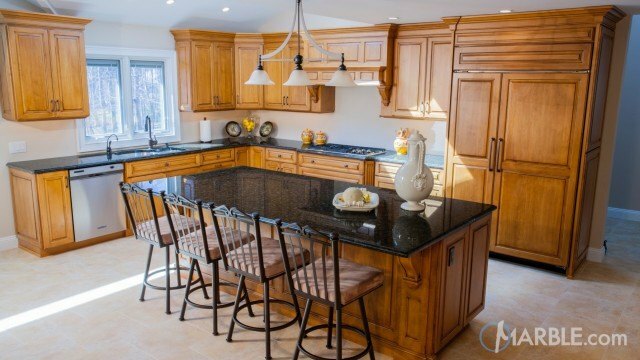 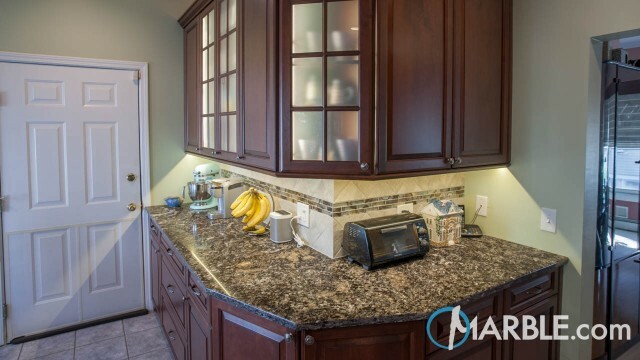 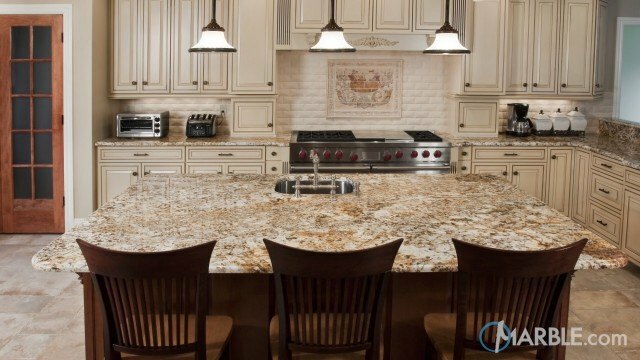 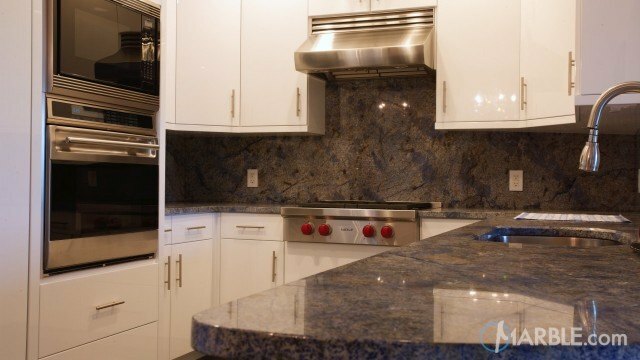 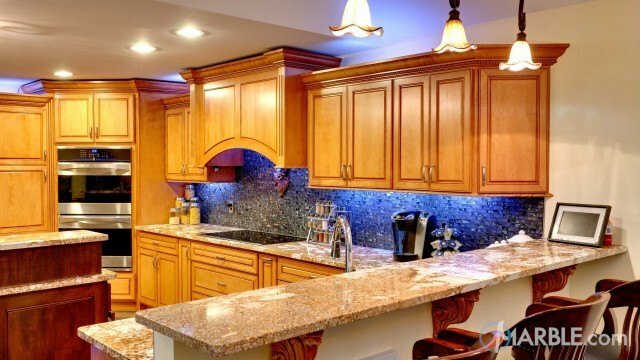 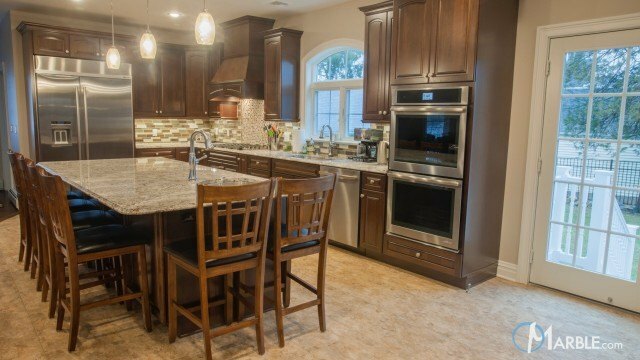 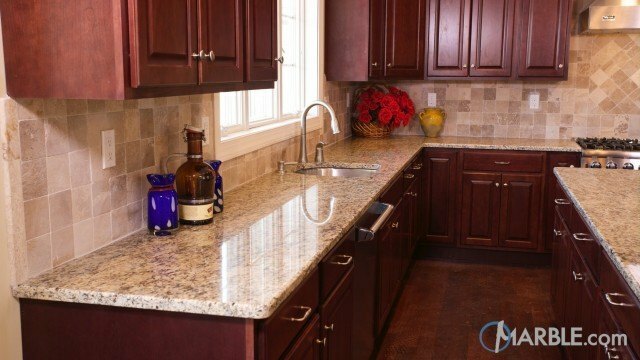 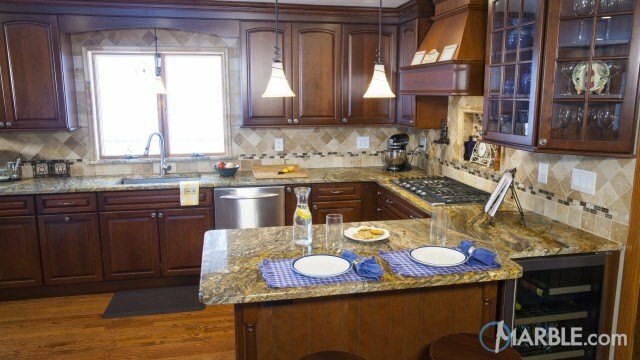 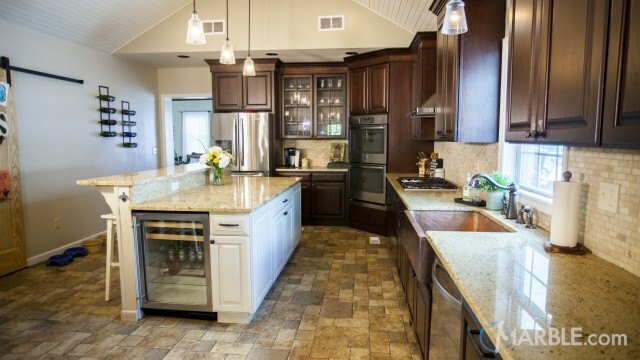 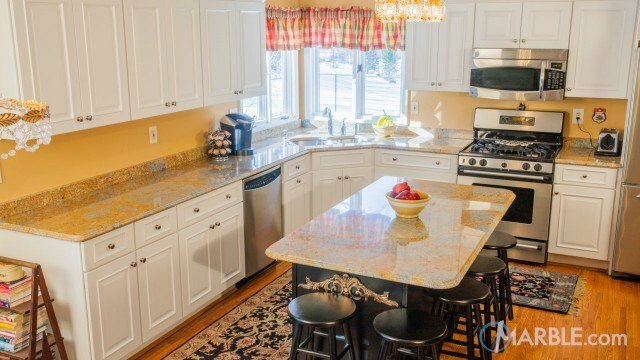 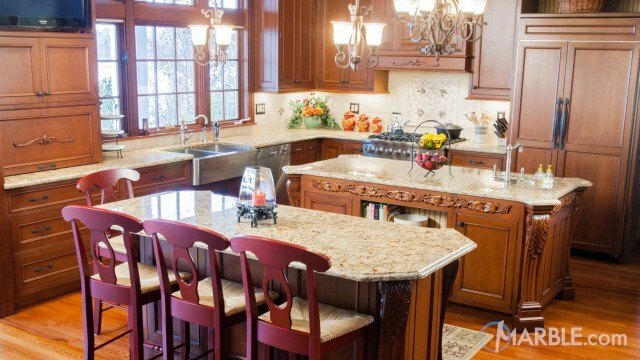 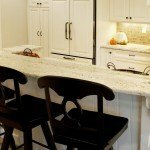 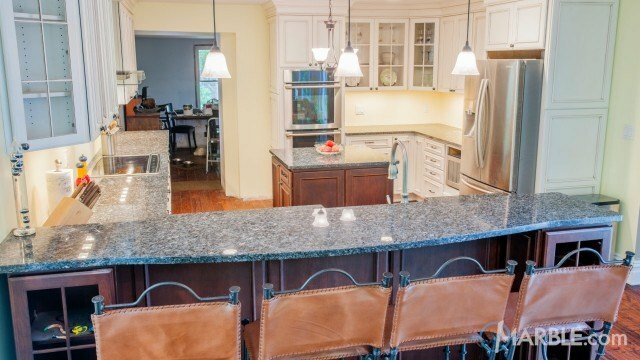 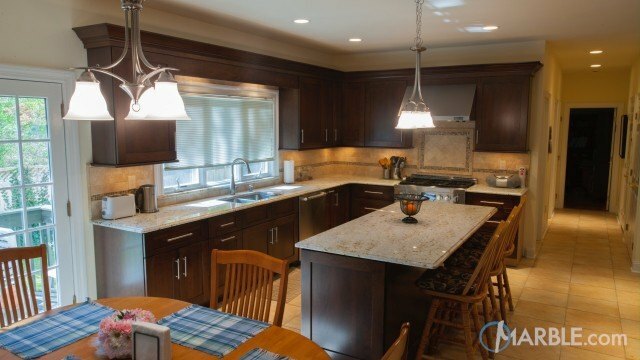 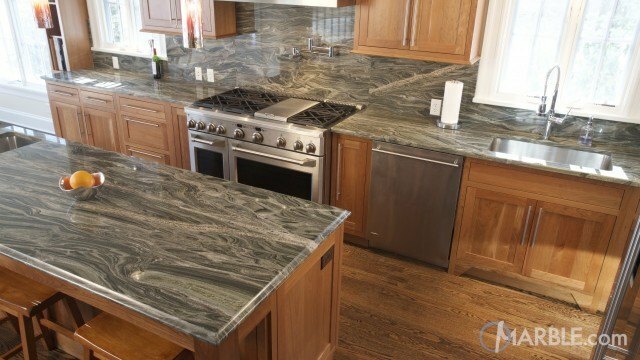 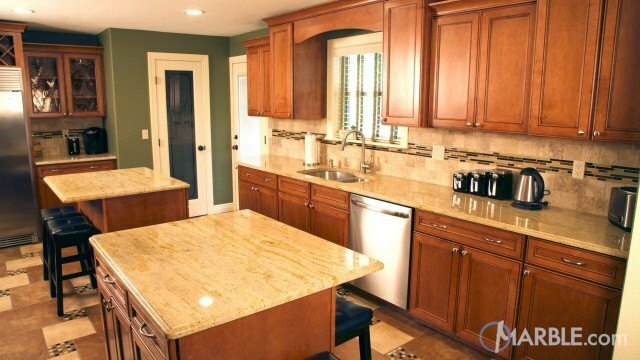 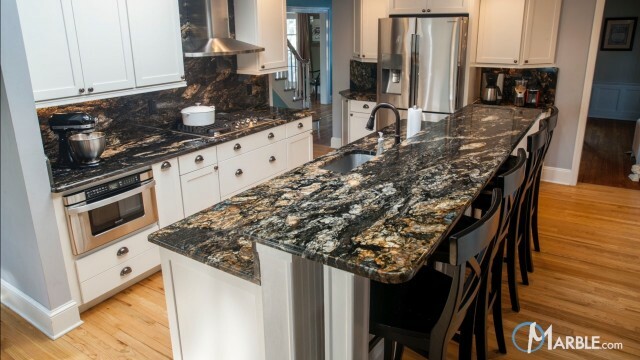 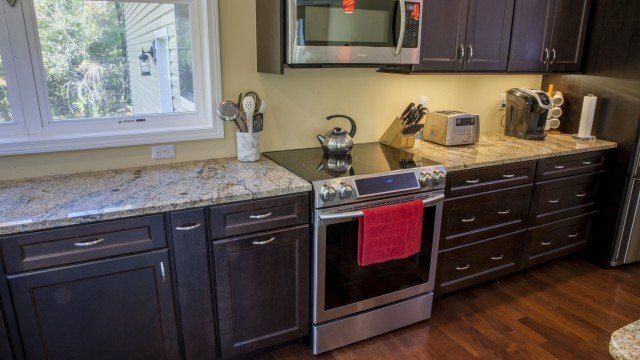 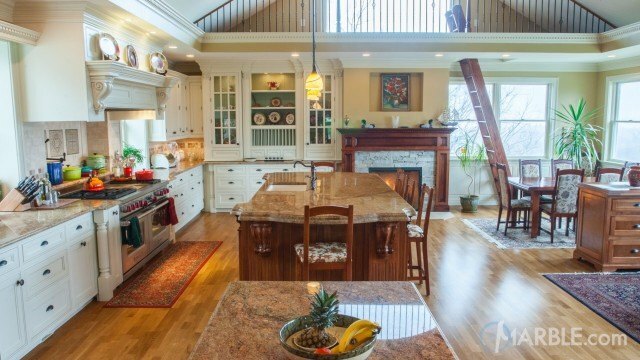 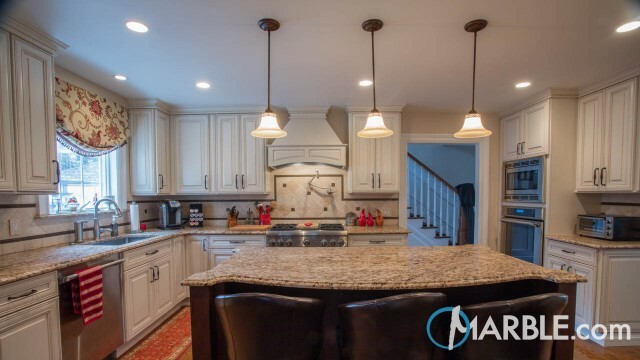 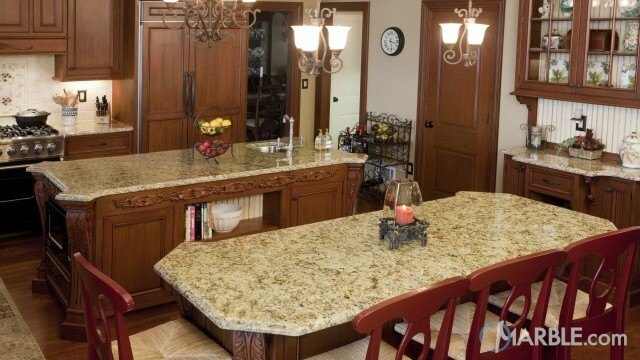 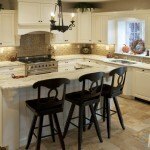 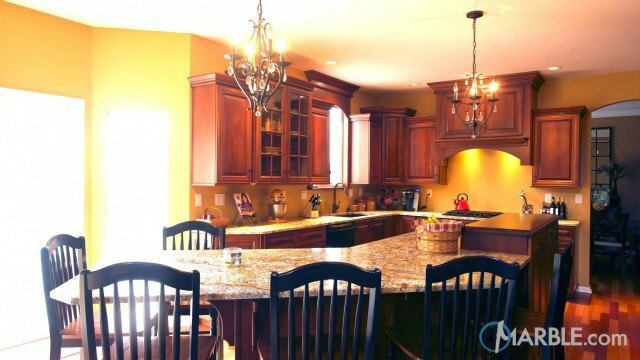 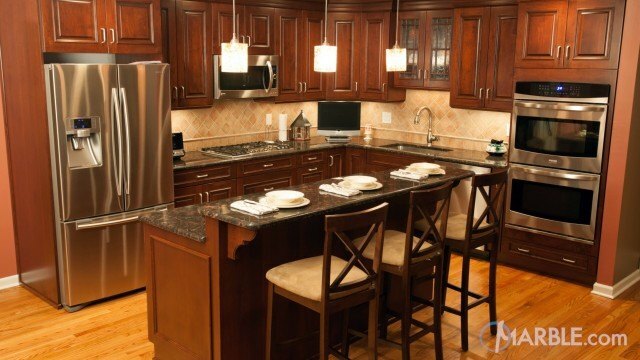 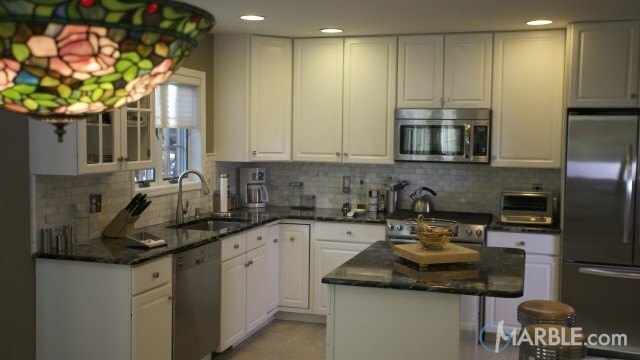 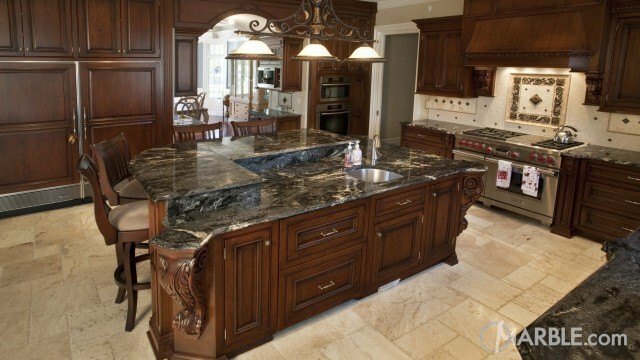 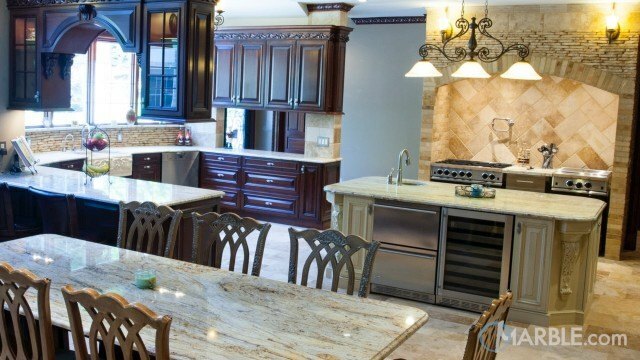 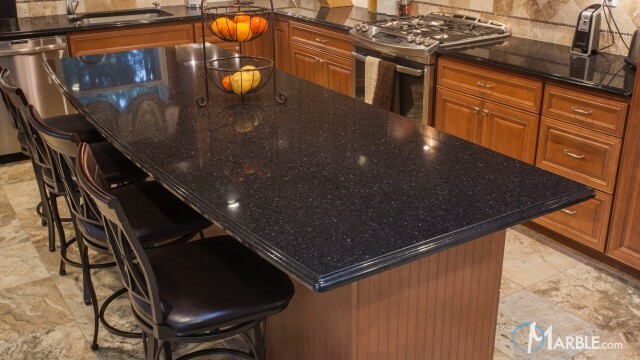 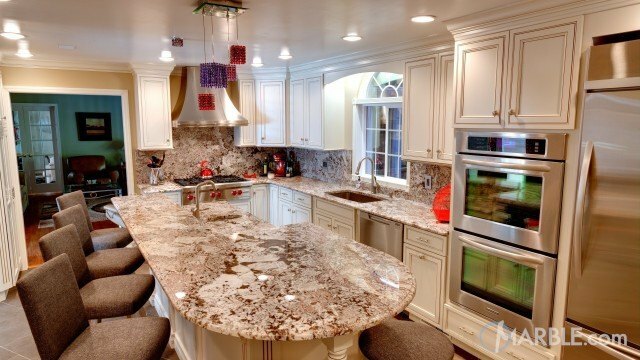 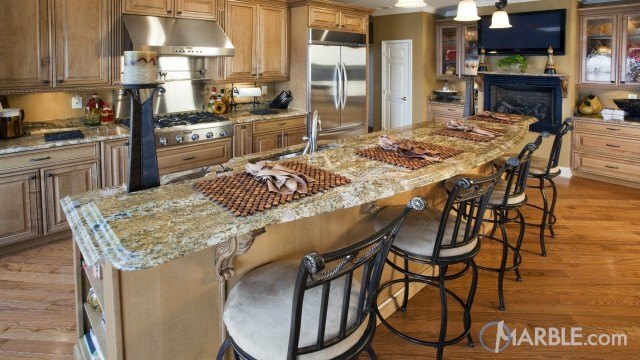 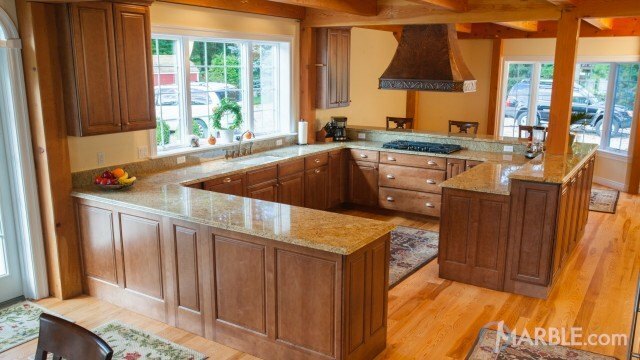 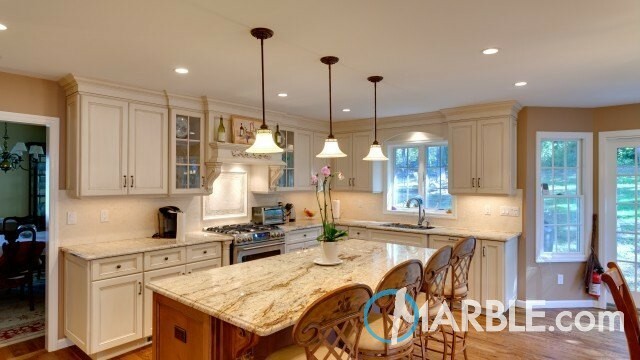 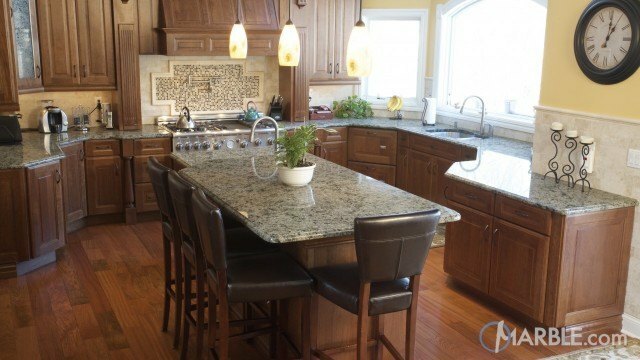 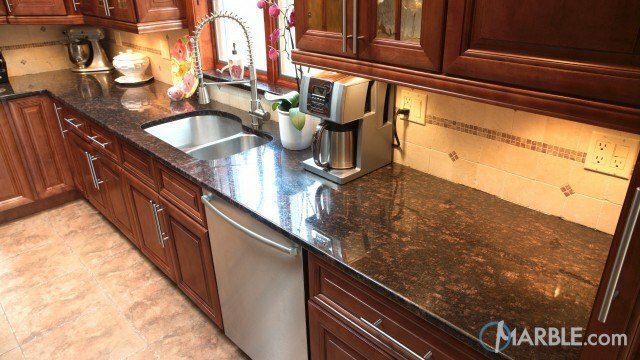 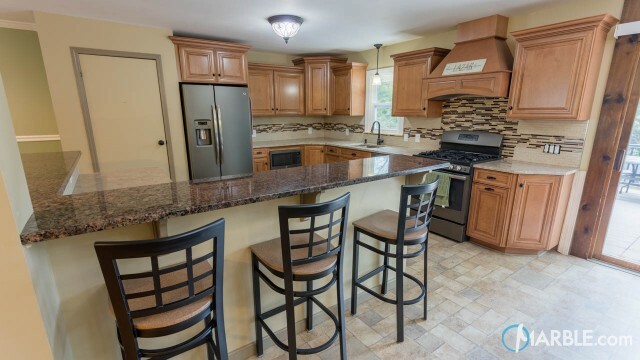 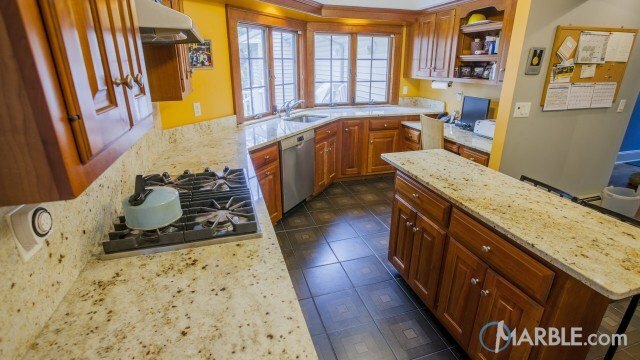 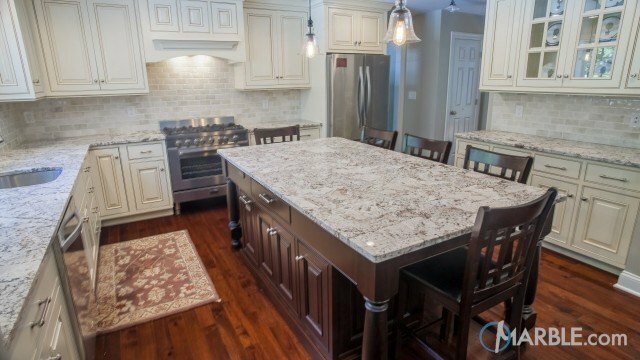 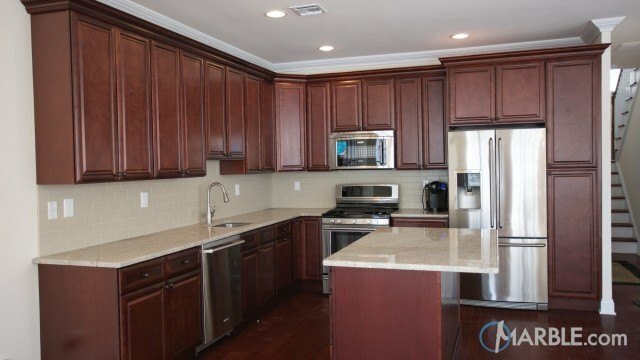 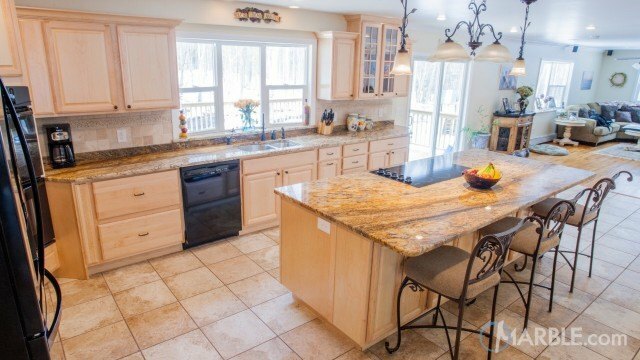 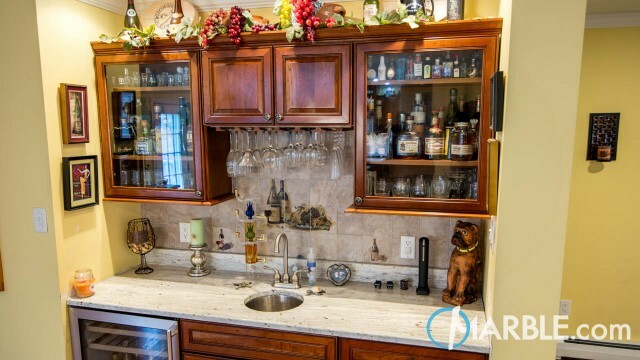 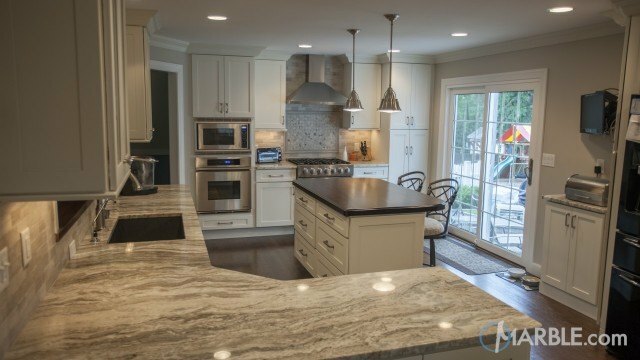 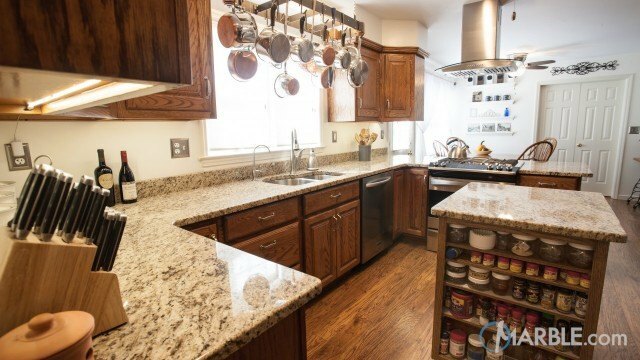 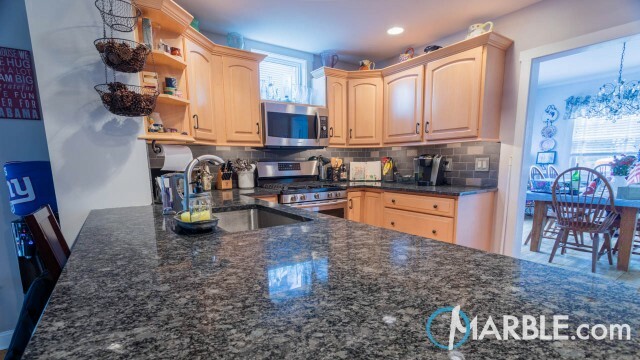 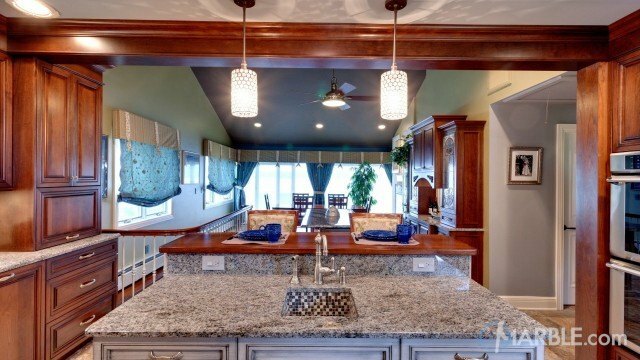 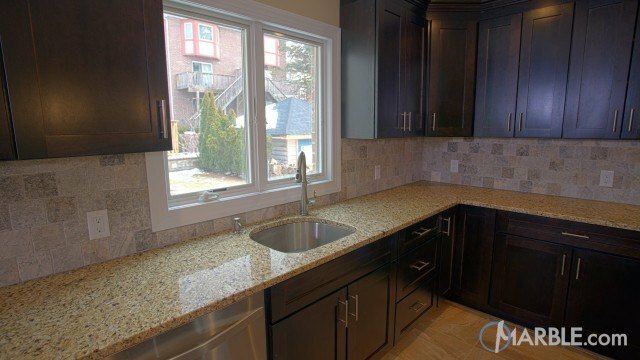 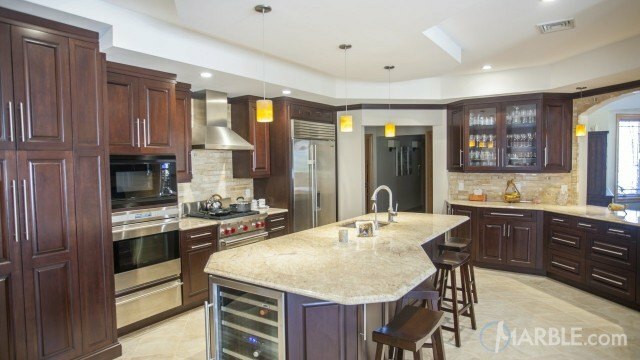 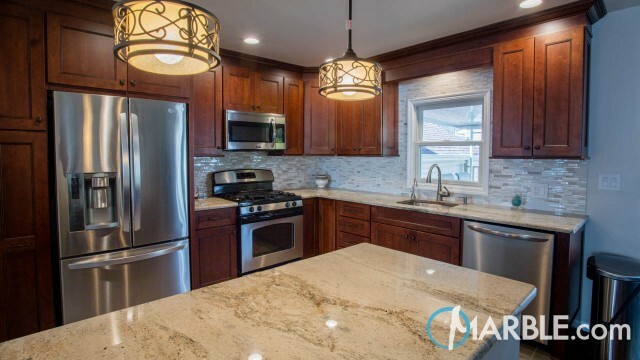 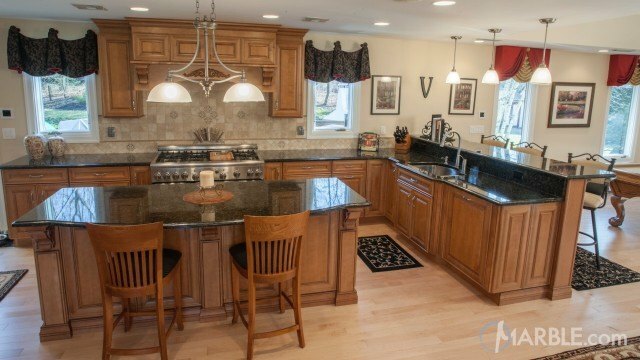 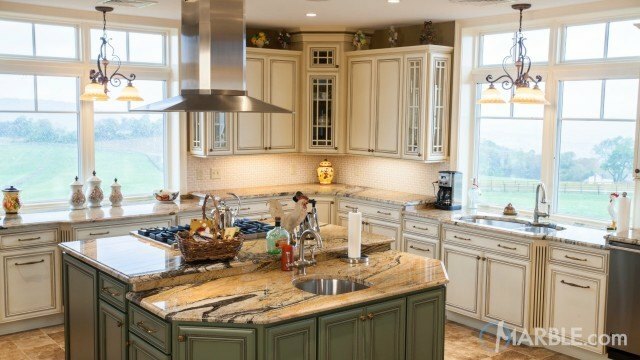 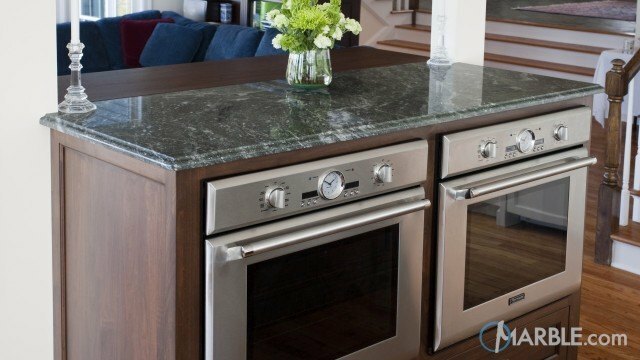 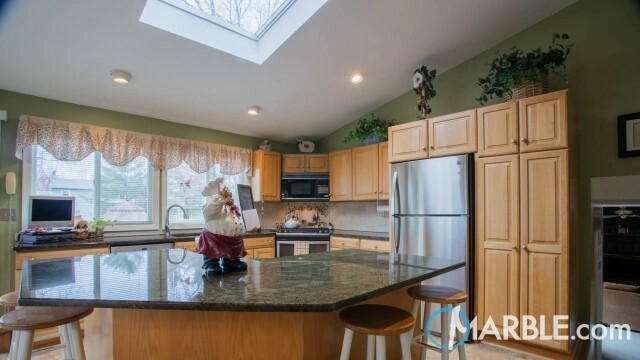 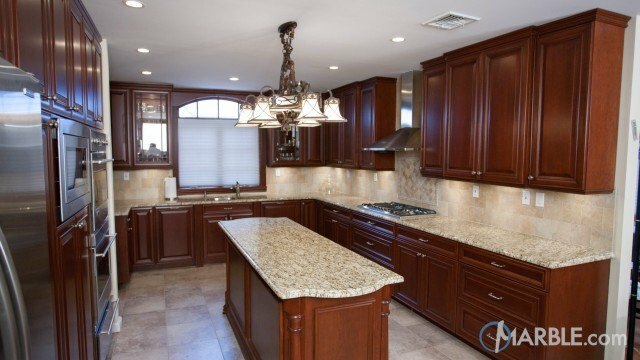 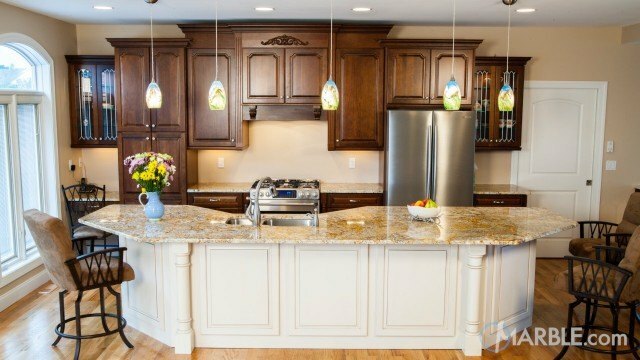 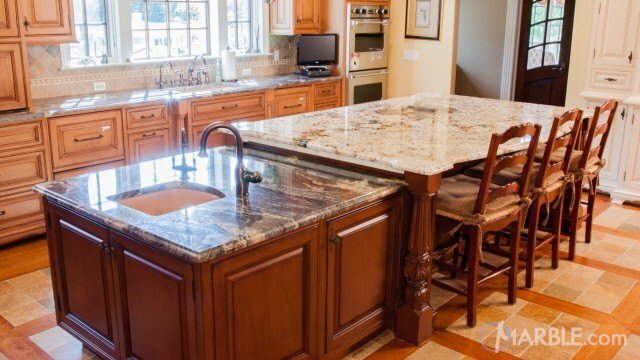 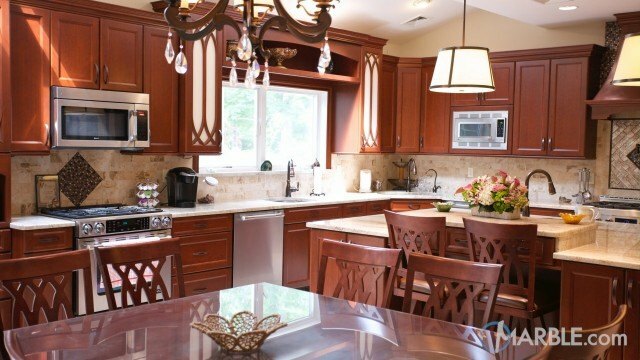 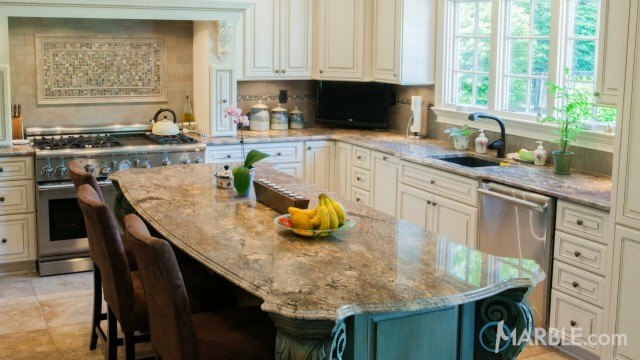 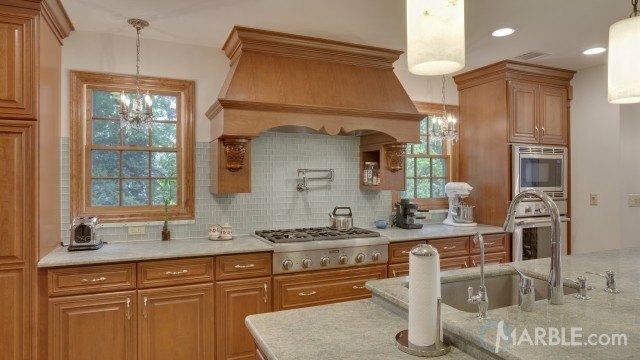 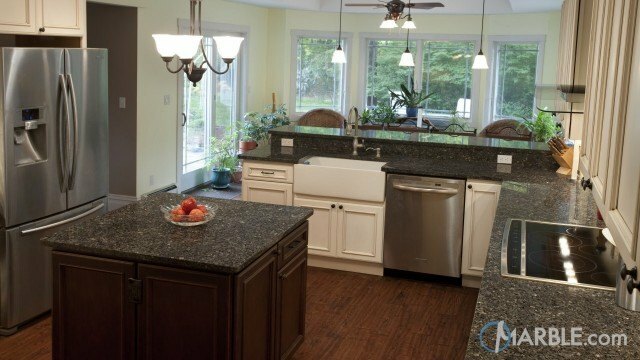 A light kitchen with dark accents, this beautiful kitchen features Gold Antique granite throughout. 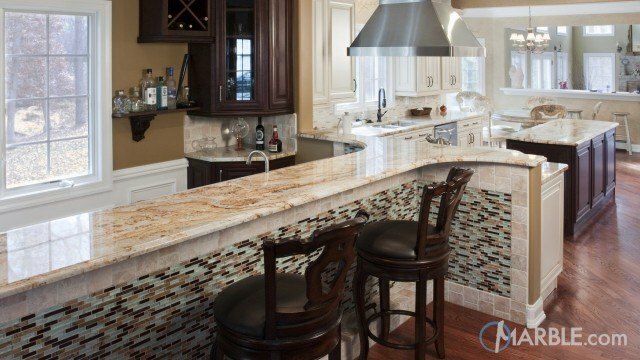 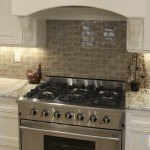 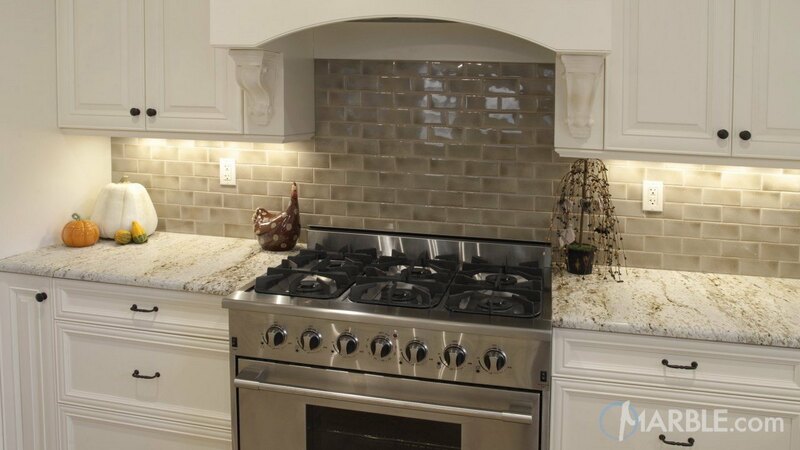 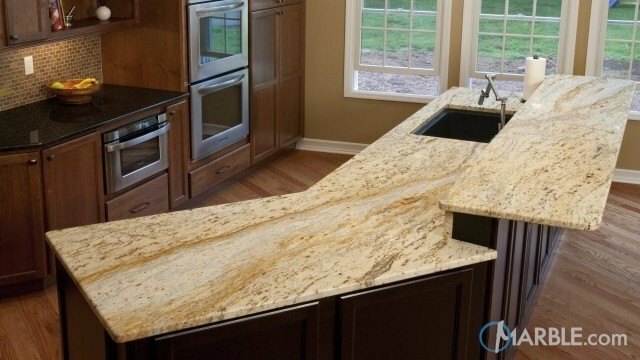 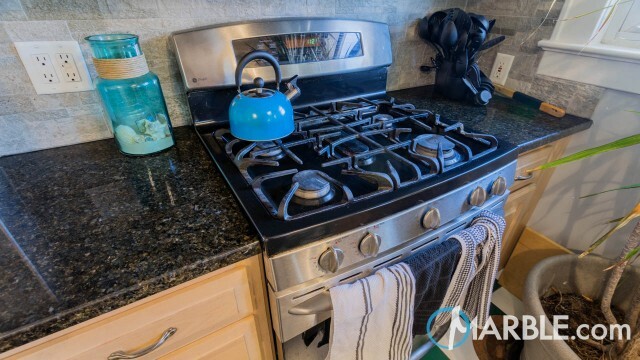 The Half Bullnose Edge adds a smooth look and plays nicely off of the built in arches above the stove and sink. 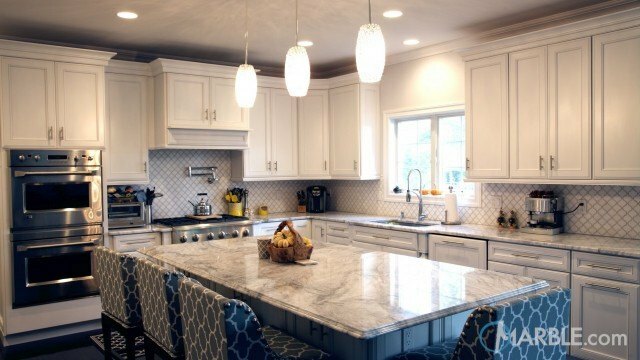 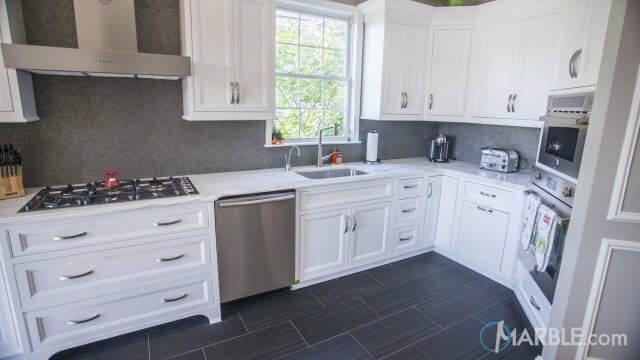 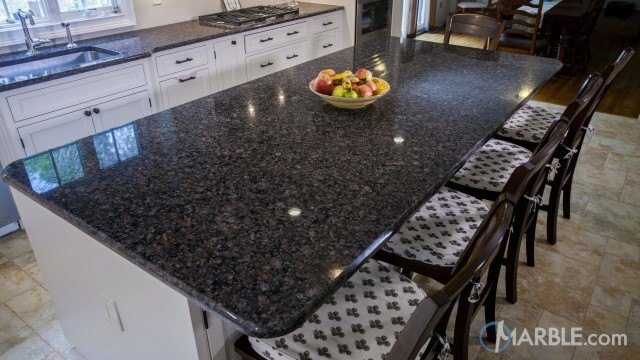 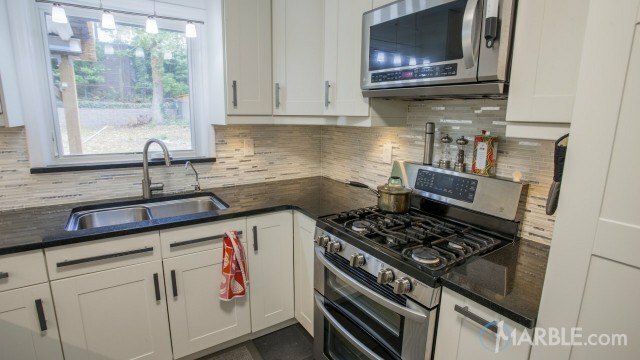 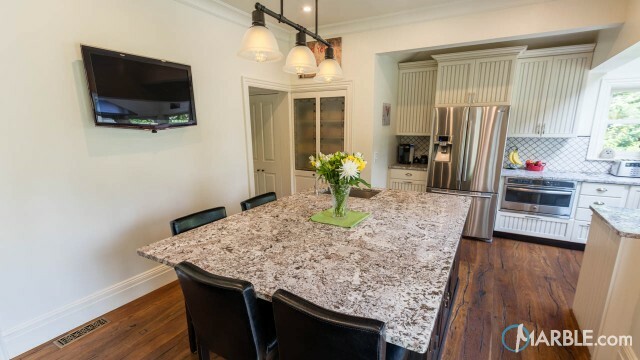 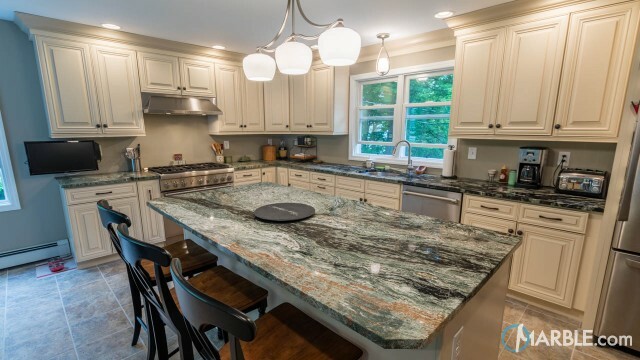 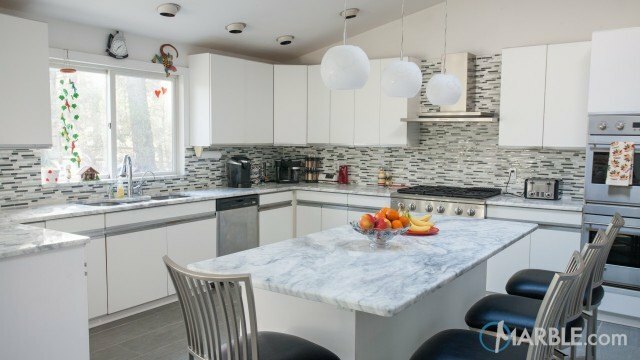 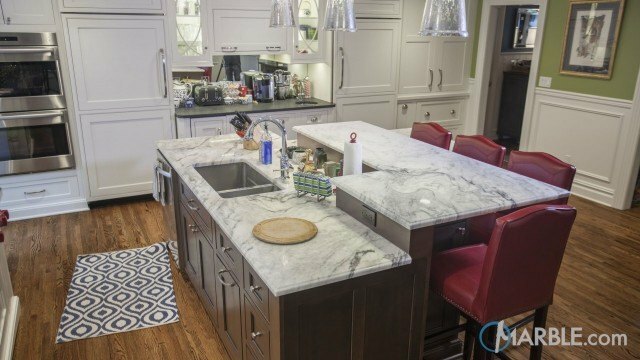 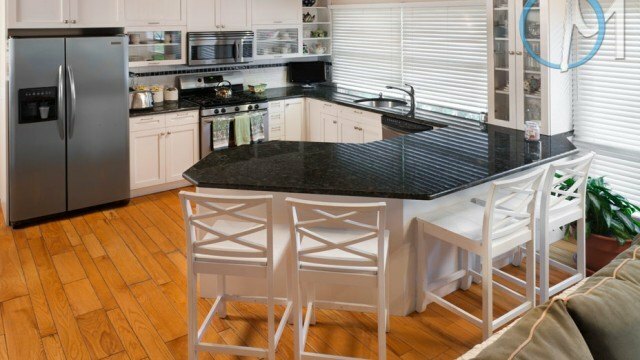 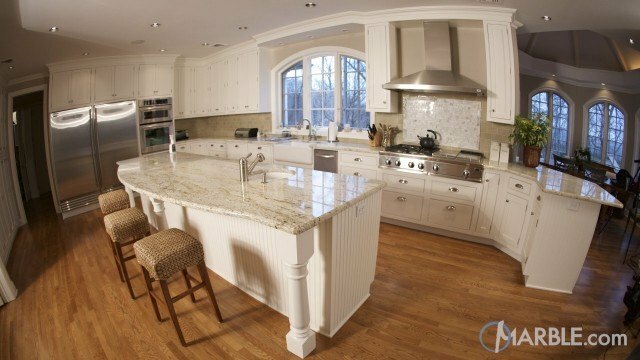 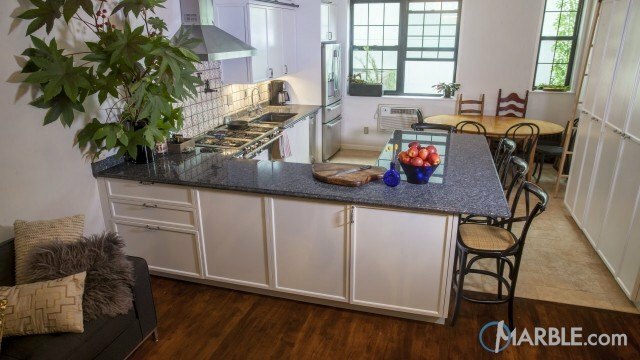 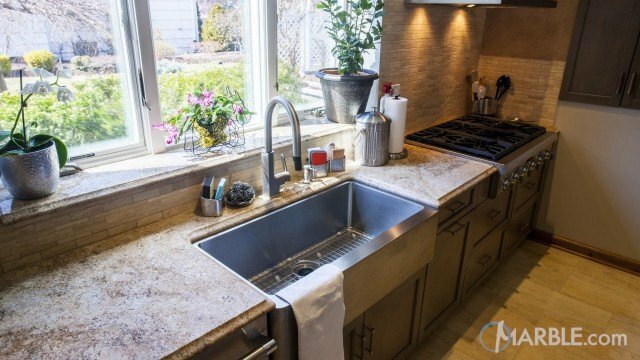 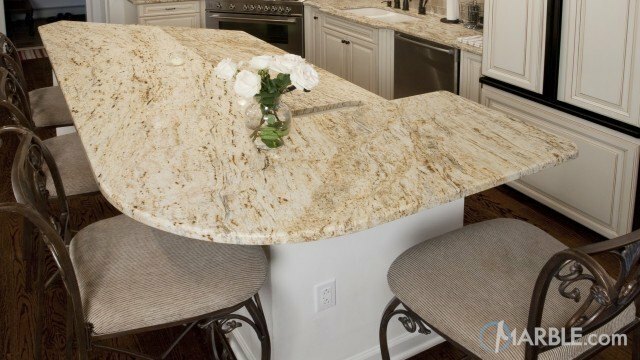 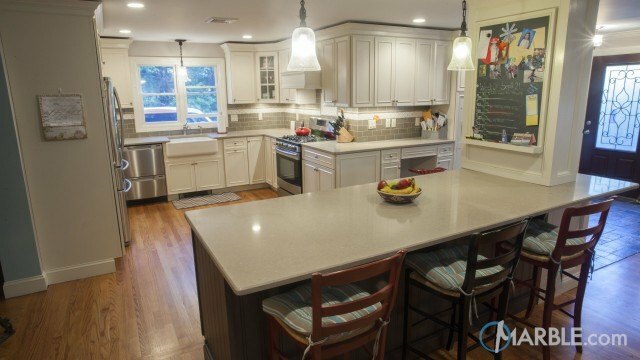 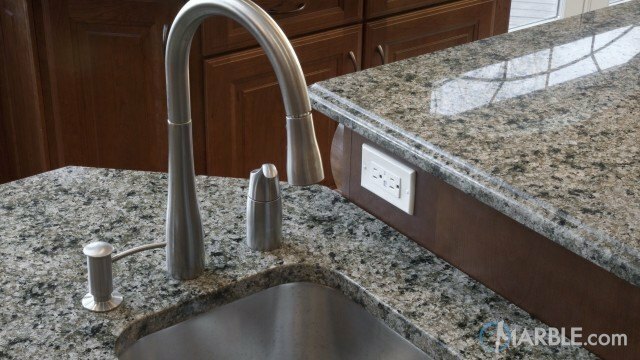 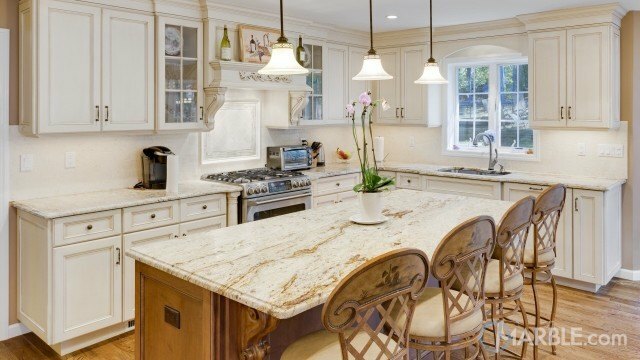 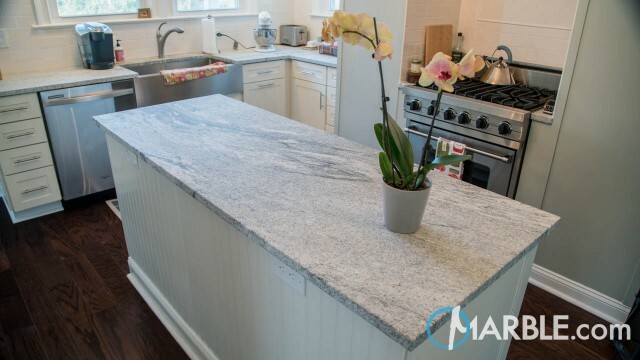 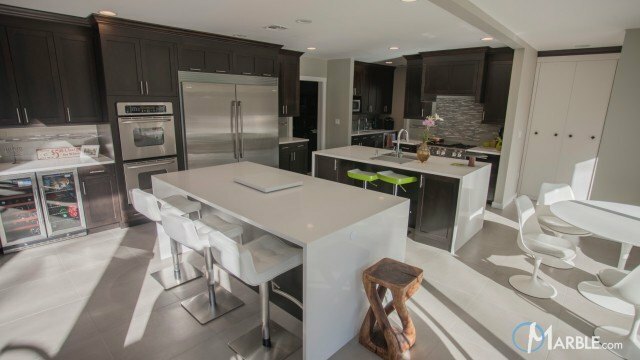 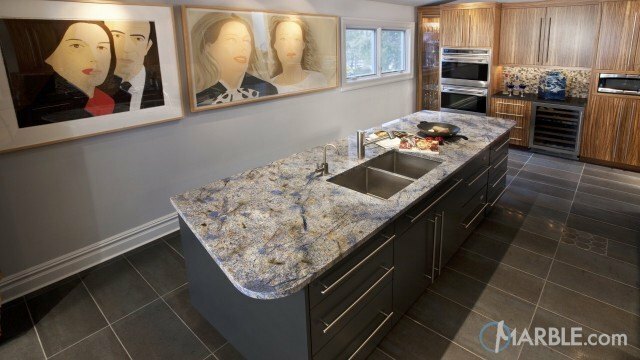 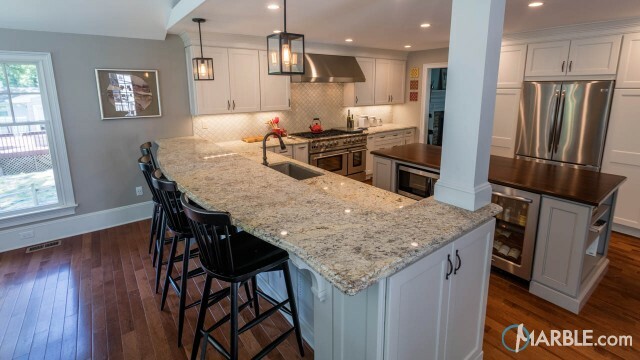 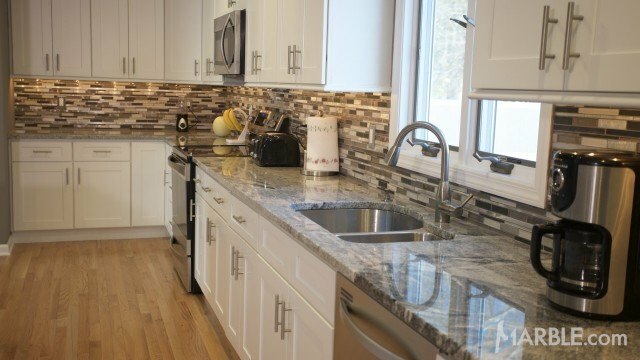 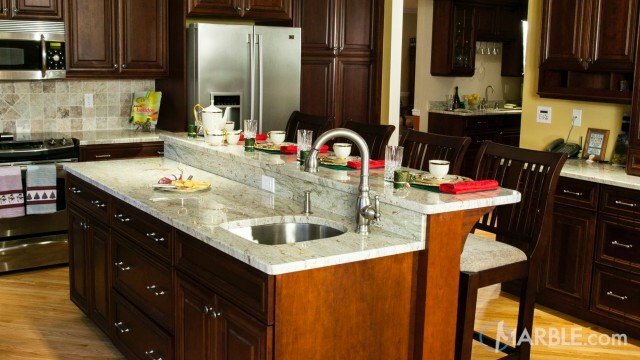 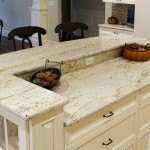 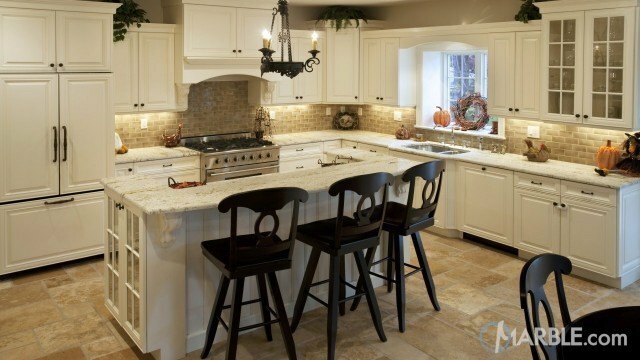 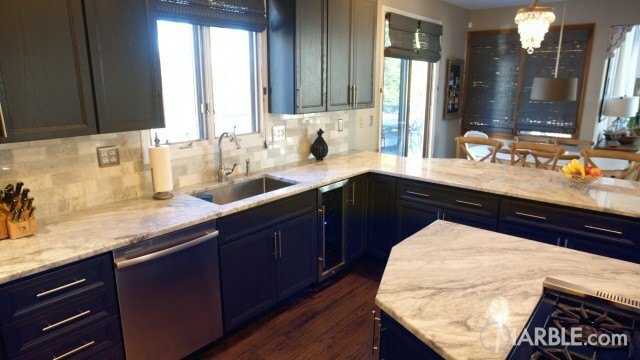 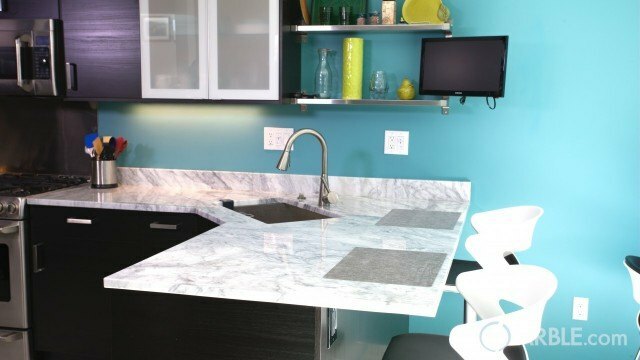 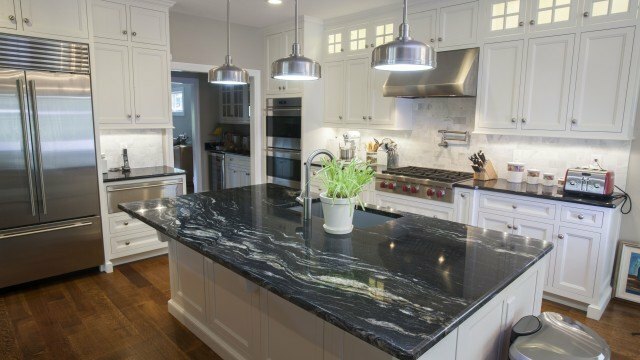 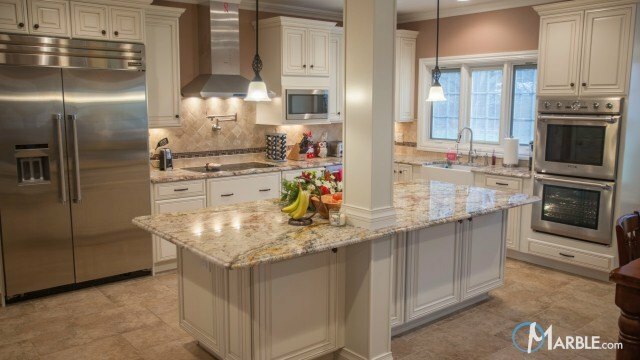 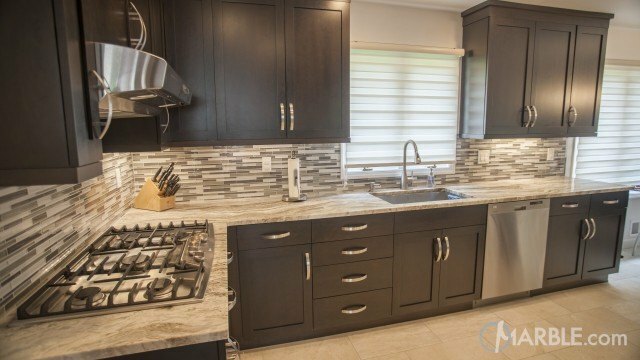 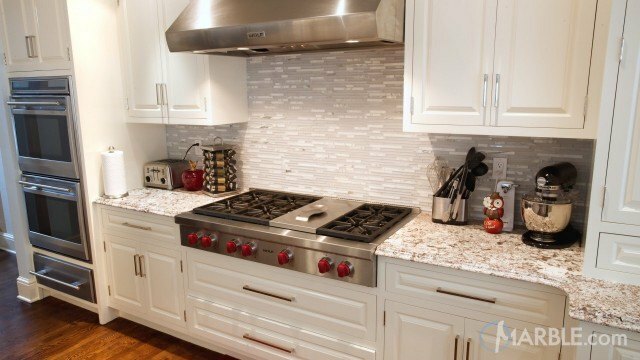 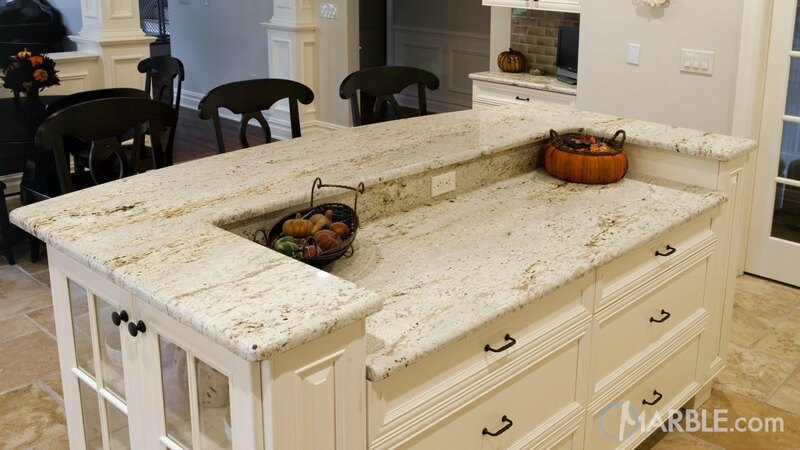 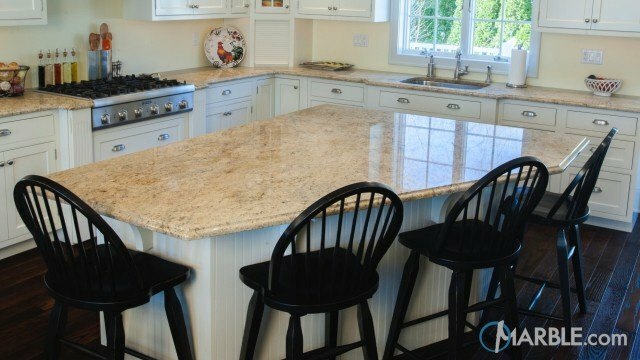 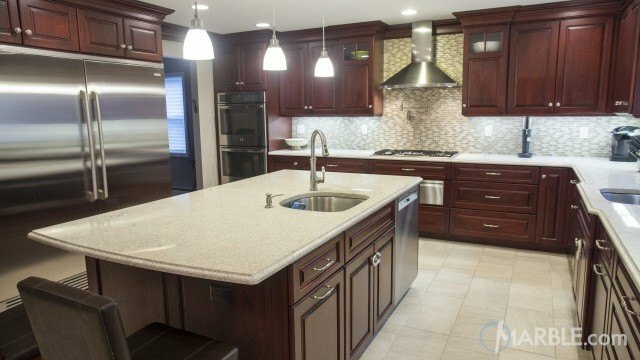 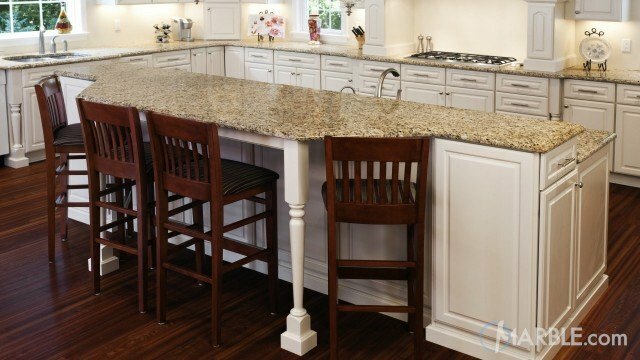 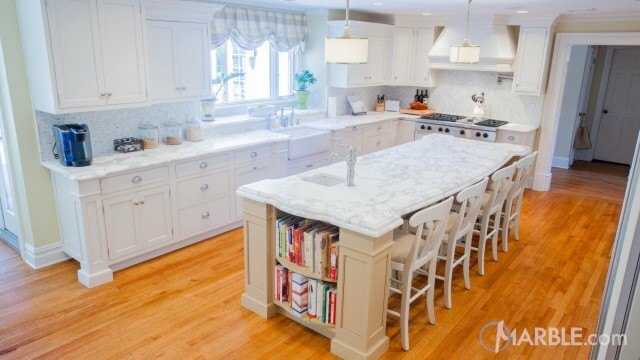 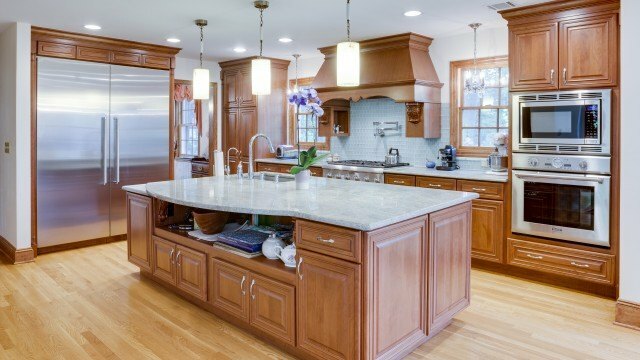 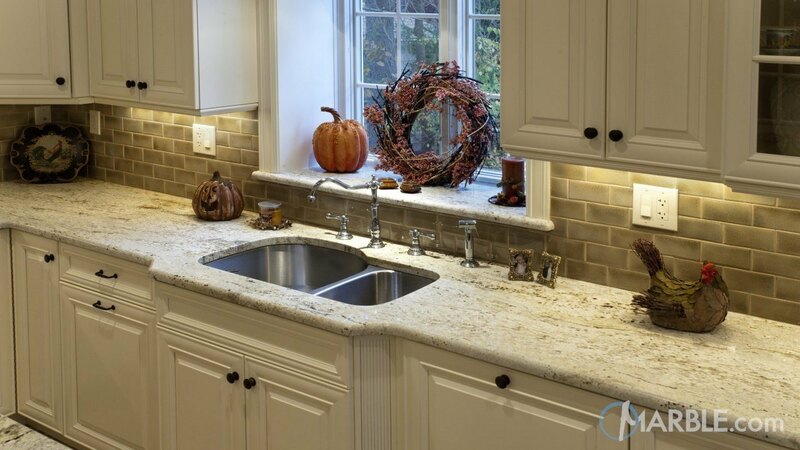 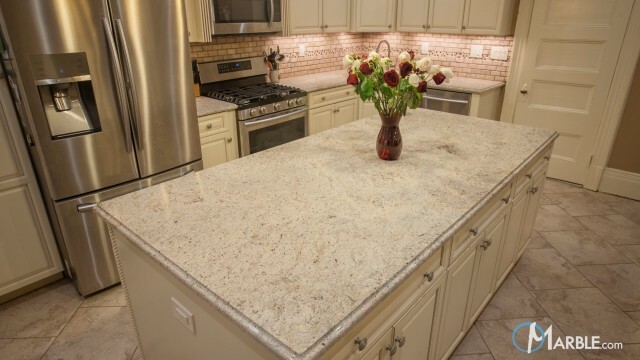 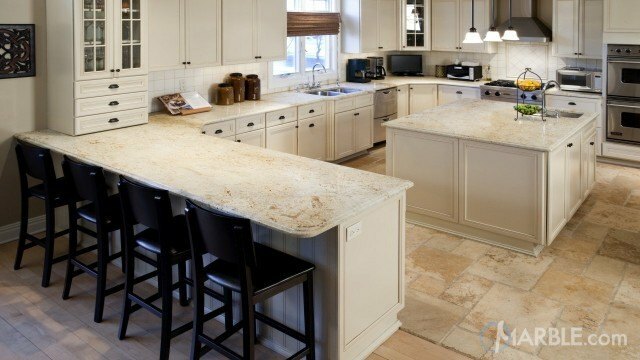 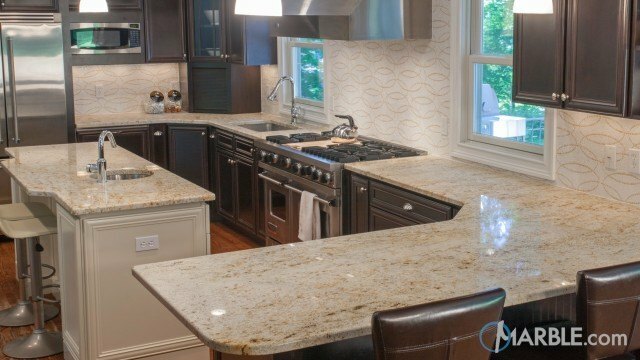 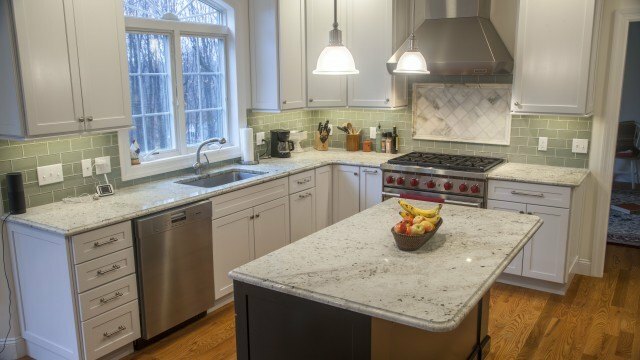 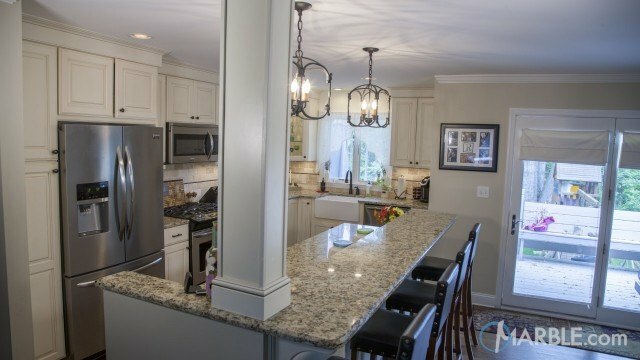 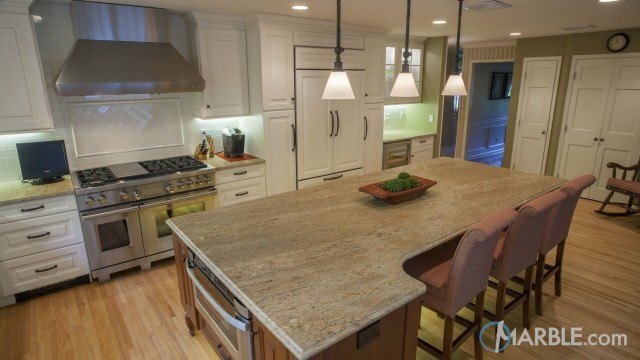 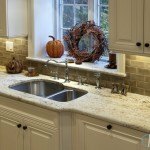 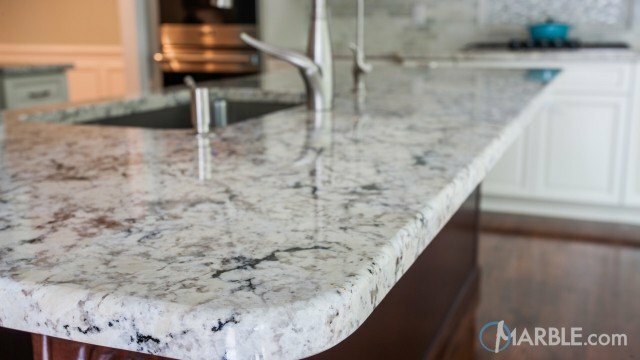 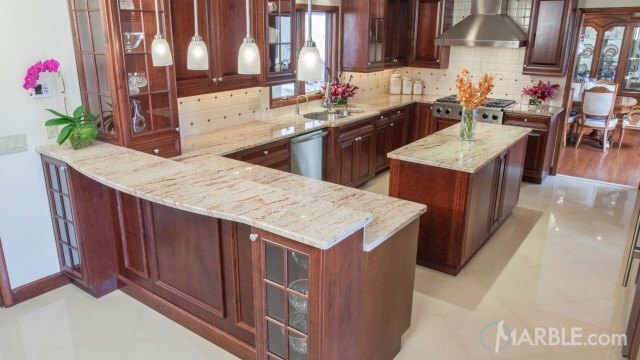 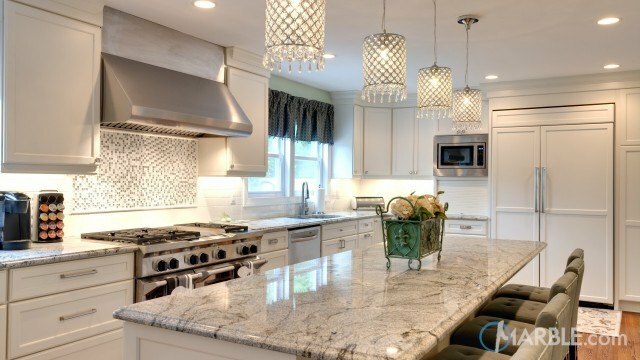 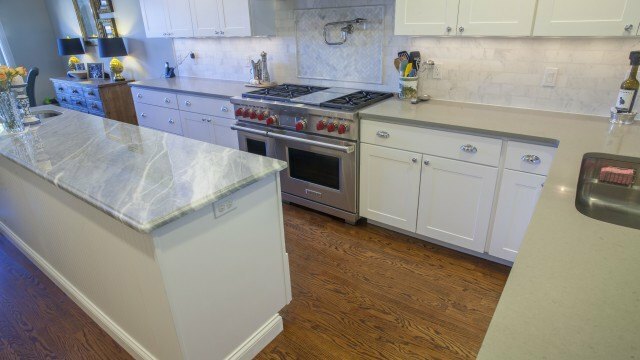 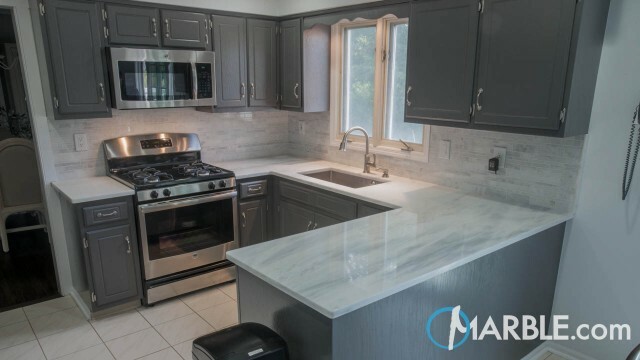 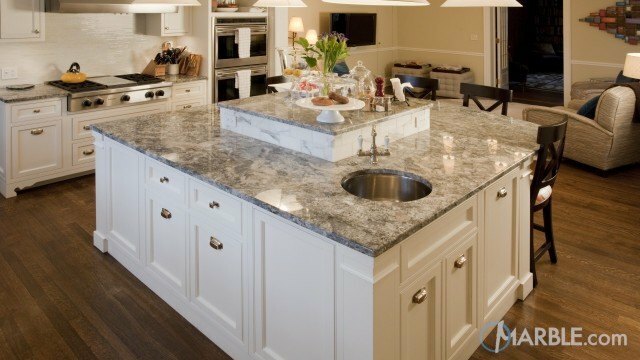 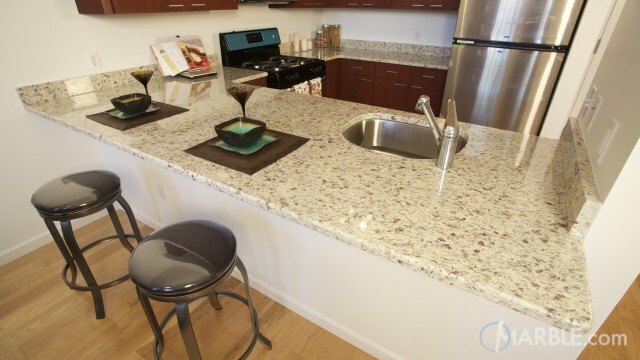 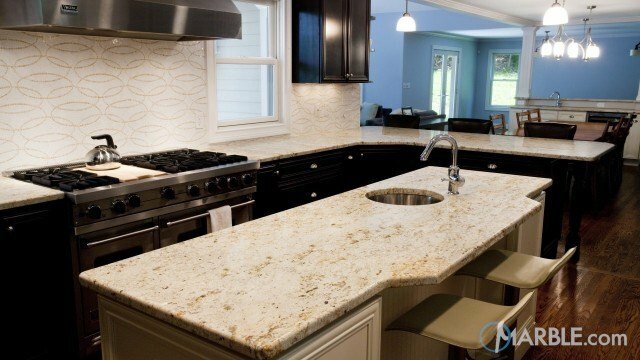 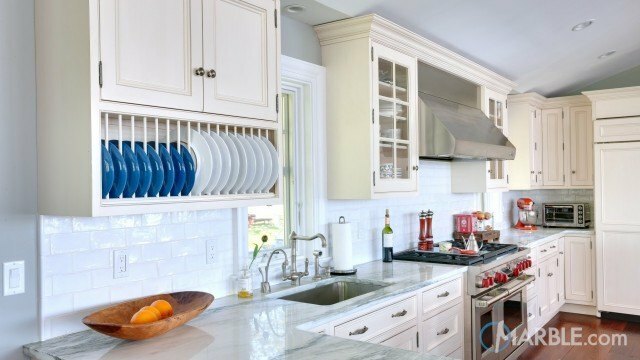 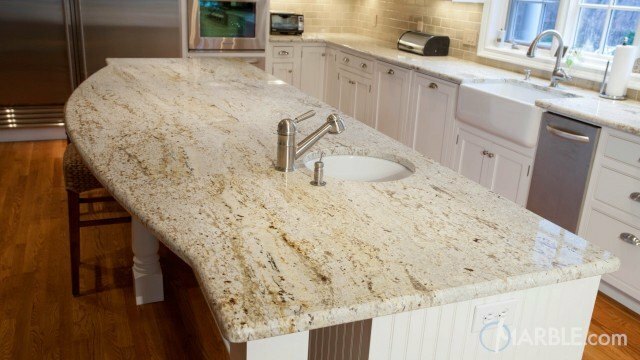 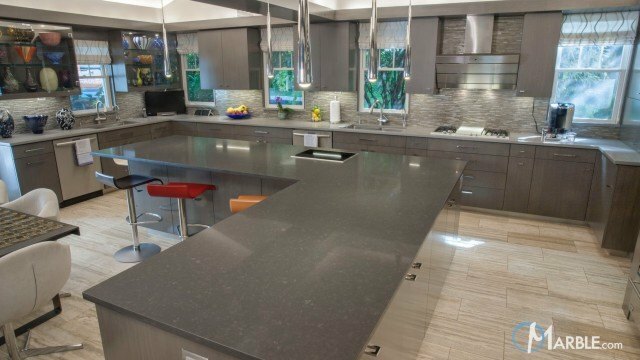 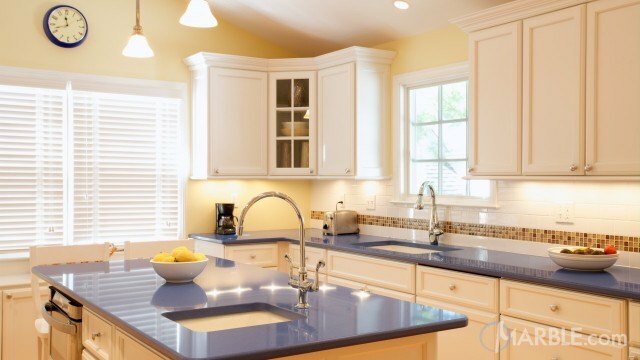 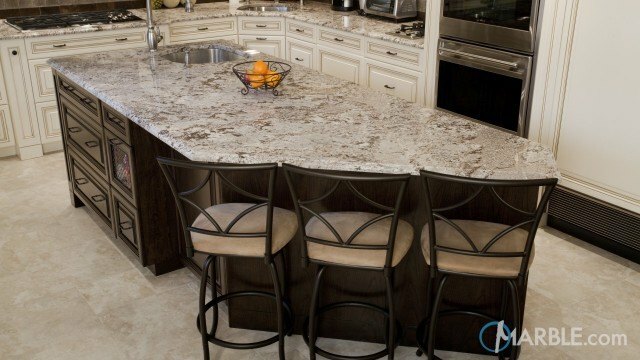 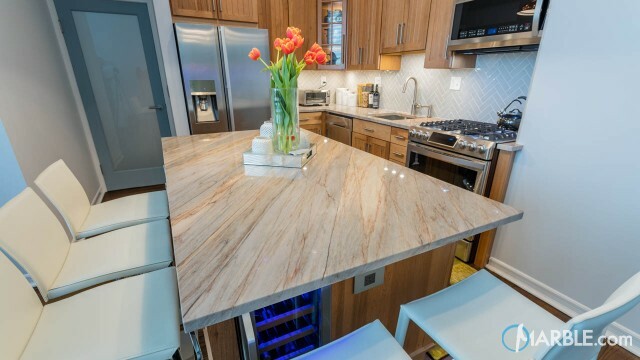 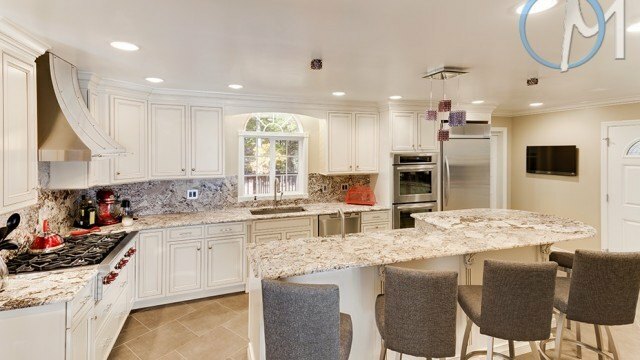 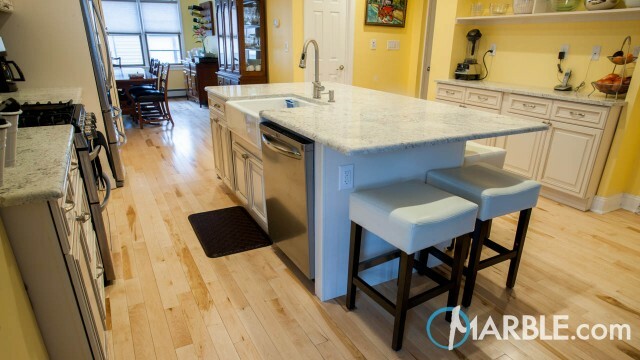 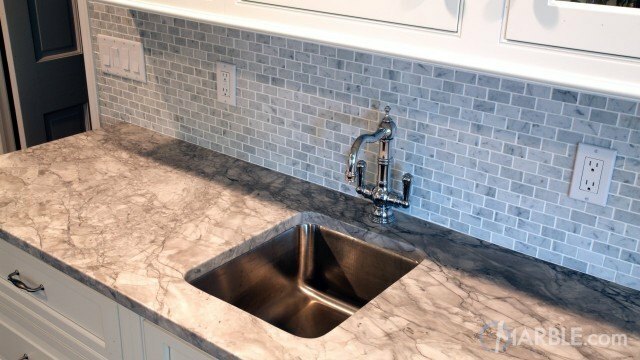 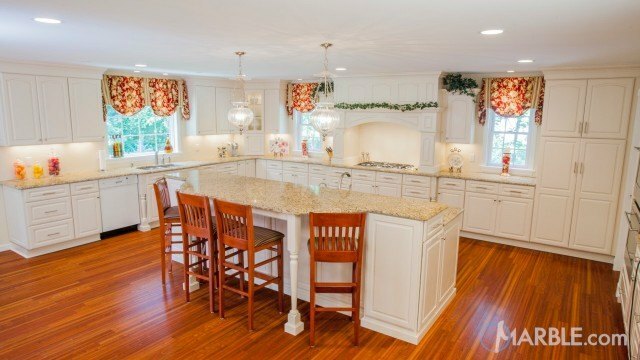 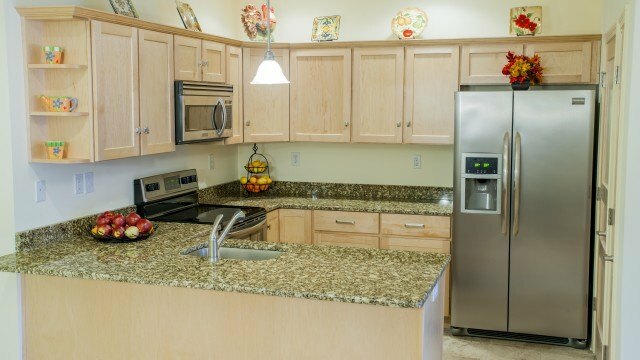 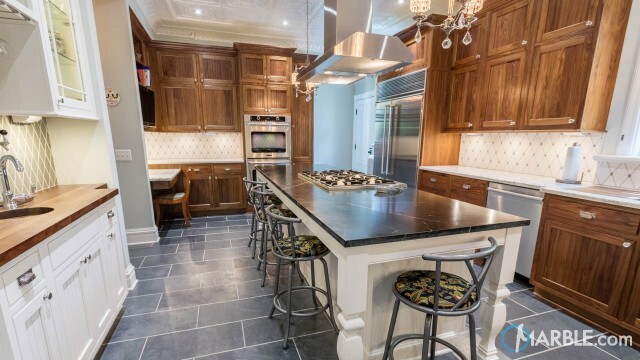 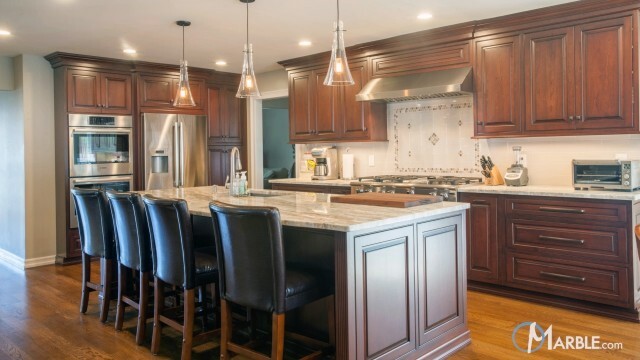 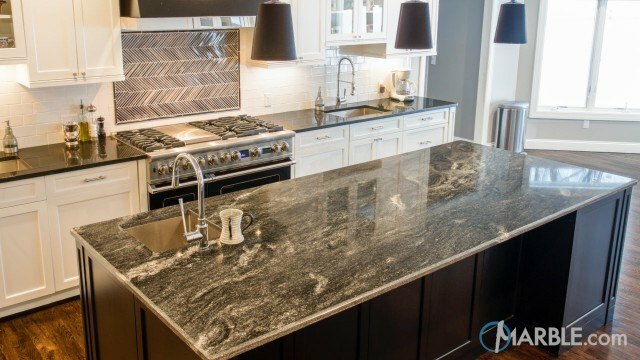 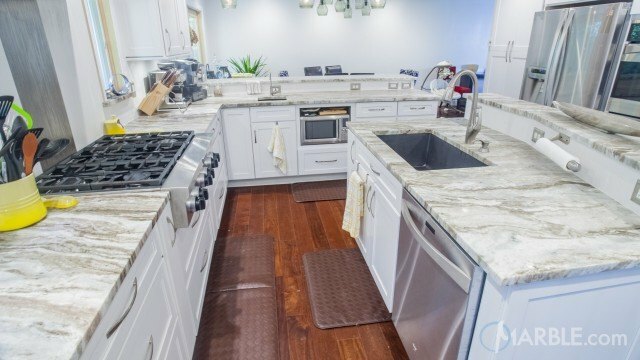 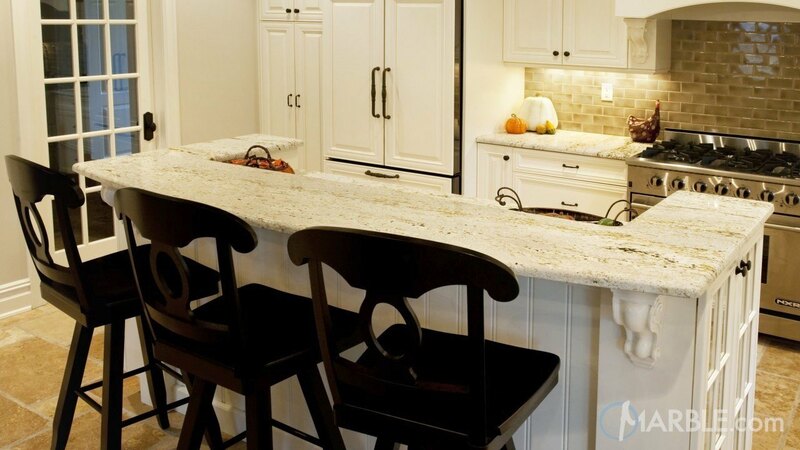 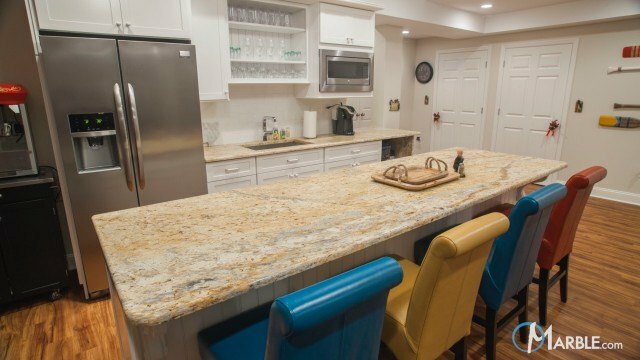 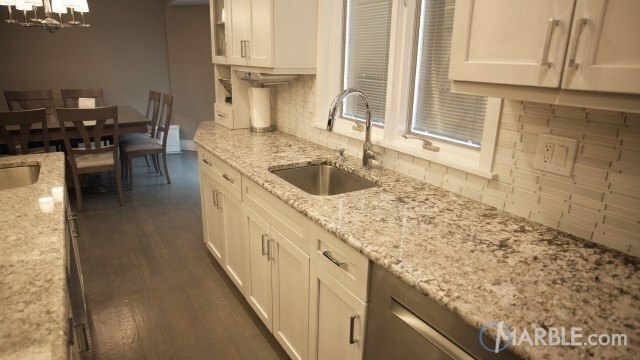 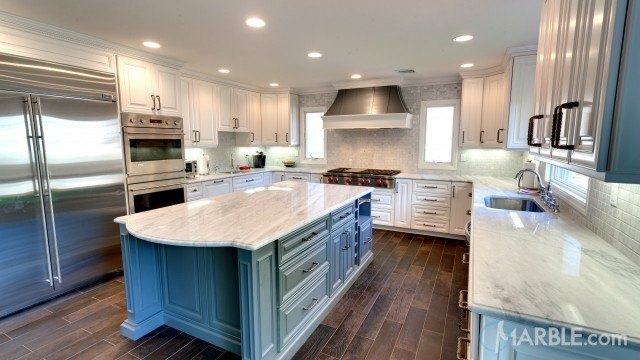 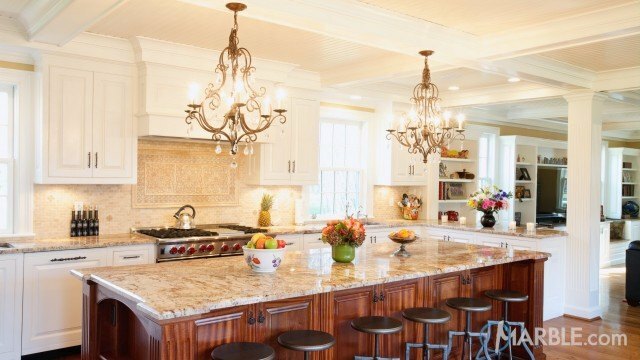 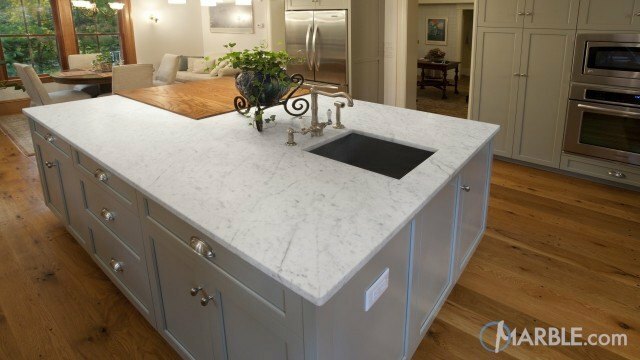 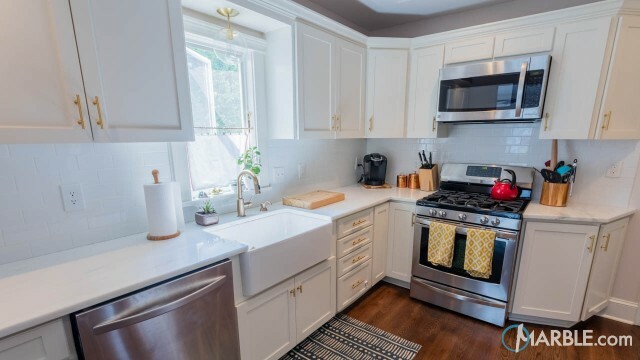 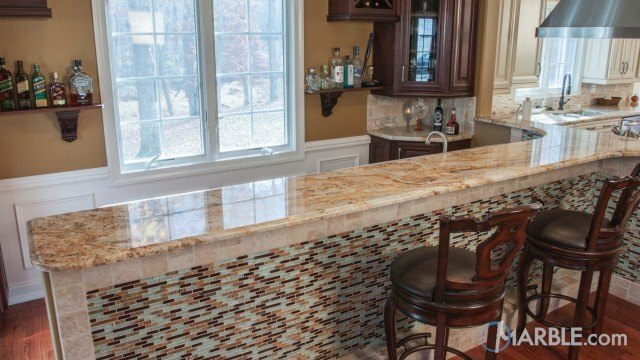 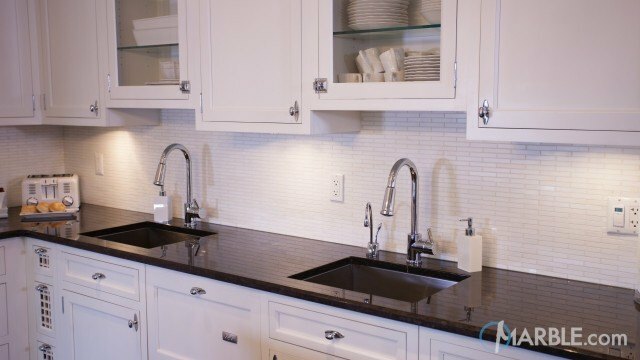 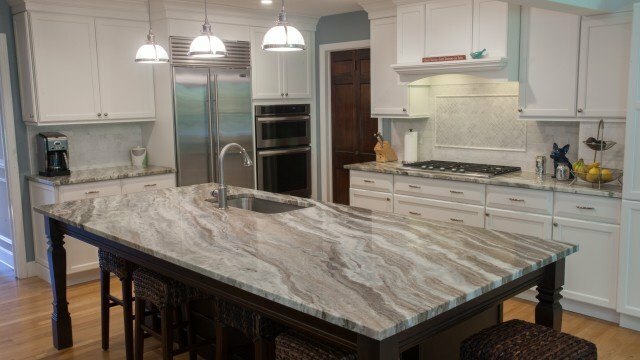 White cabinets balance the beige and white of the granite and allow the designers to add contrast in the dark hardware, light fixtures and bar chairs. 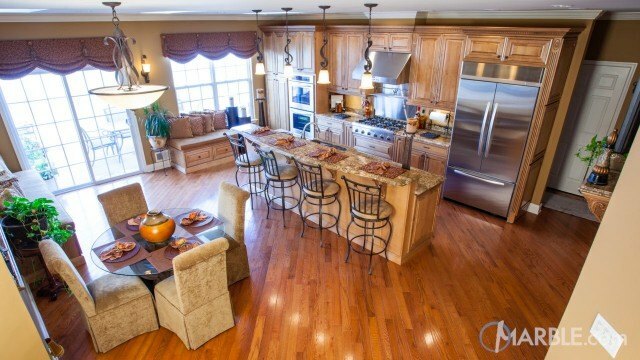 Large floor tiles finish this great room.